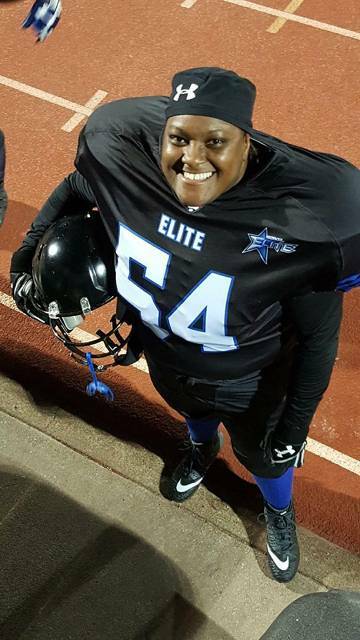 Tuesday, April 16, 2019 9:00 p.m.- EST Coach Johnson will discussing Women’s Tackle Football,….and much more! 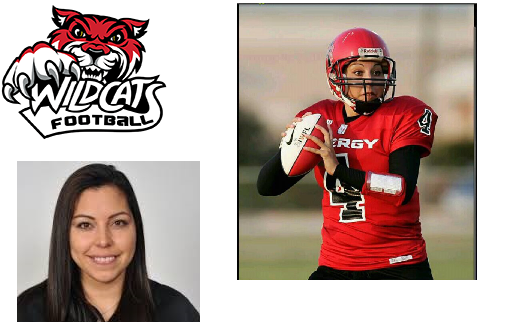 In Episode 1914 of Women's Football Success, LynMarie Liberty-Ellington discusses week 1 scores in the WFA, what women's football can learn from the closure of the AAF, and talks with Candace Avalos of the La Muerte de Las Cruces about their record attendance at their season opener. 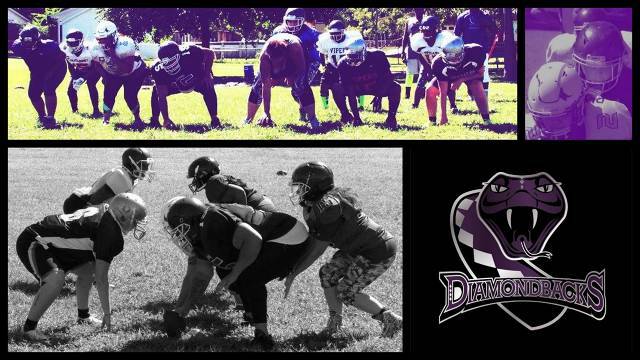 Tuesday, April 9, 2019 9:00 p.m.- EST Coach Johnson will discussing Women’s Tackle Football,….and much more! In Episode 1913, LynMarie Liberty-Ellington discusses filling the stands at your home games and shares the rundown of Week 1 games in the WFA. 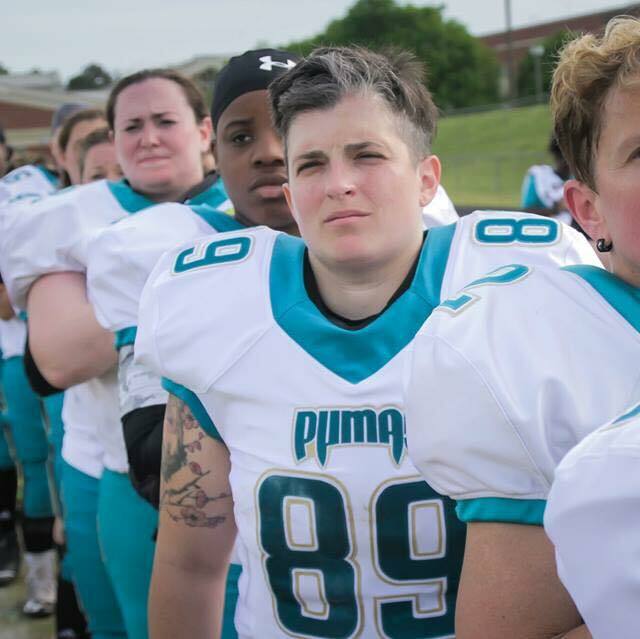 Tuesday, April 2, 2019 9:00 p.m.- EST Coach Johnson will discussing Women’s Tackle Football, AAF….and much more! In Episode 1912 of Women's Football Success, LynMarie Liberty-Ellington discusses loose ends and final items to think about for the gameday sideline and locker rooms. 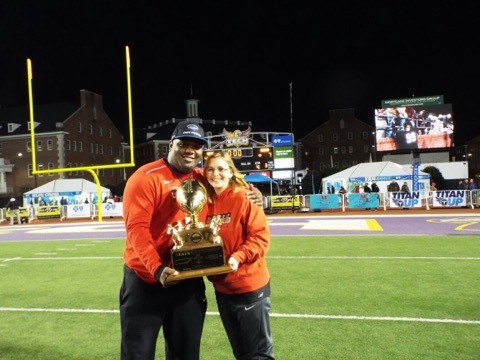 Tuesday, March 26, 2019 10:00 p.m.- EST Coach Johnson will discussing Women’s Tackle Football, AAF….and much more! Coach Johnson can normally be heard every Tuesday night at 9pm-EST on JC Hawks Sports Network. In Episode 1911, LynMarie Liberty-Ellington talks about All Things Gameday! 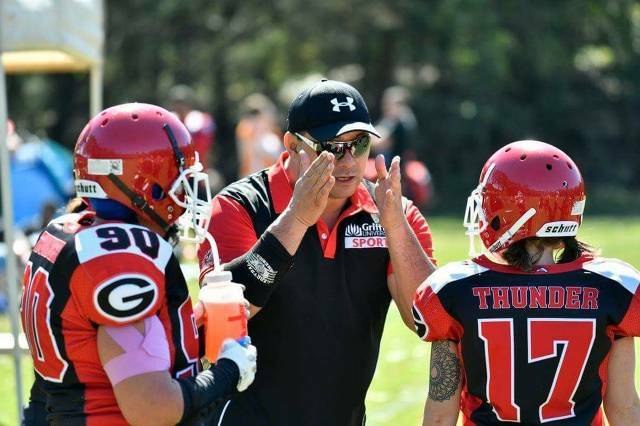 Tuesday, March 19, 2019 9:00 p.m.- EST Coach Johnson will discussing Women’s Tackle Football, AAF….and much more! In Episode 1910 of Women's Football Success, LynMarie Liberty-Ellington discusses wrapping up your team efforts in logistics, community involvement, and selling gameday tickets, and continued fundraising leading into the beginning fo the season. 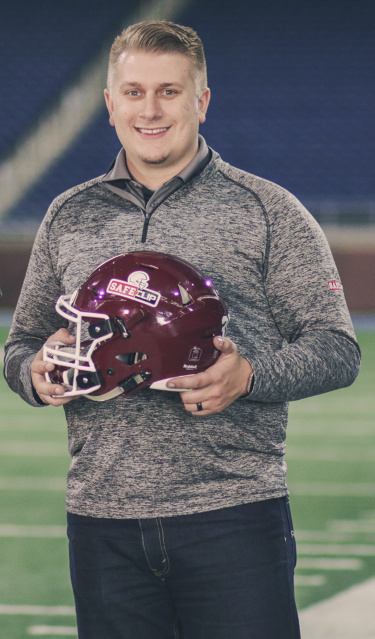 Tuesday, March 12, 2019 9:00 p.m.- EST Coach Johnson will discussing Women’s Tackle Football, AAF….and much more! 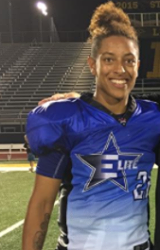 In Episode 1909 of Women' s Football Success, LynMarie Liberty-Ellington discusses hosting and participating in a women's football pre-season scrimmage and working with other women's football teams. 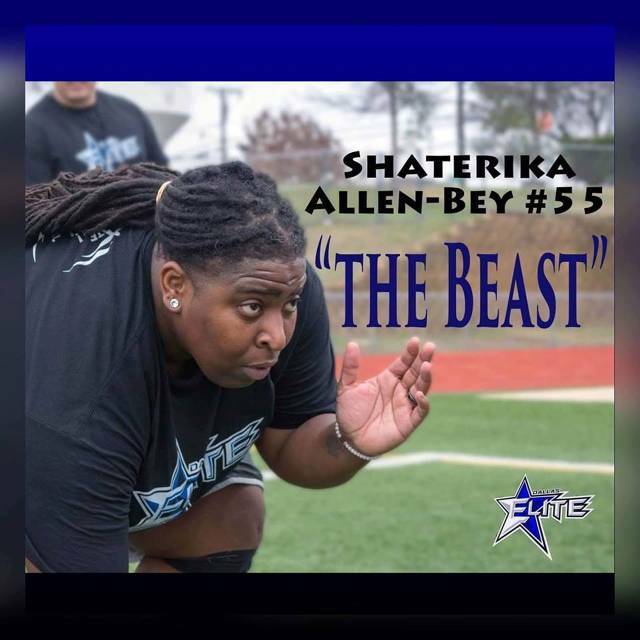 Tuesday, March 5, 2019 9:00 p.m.- EST Coach Johnson will discussing Women’s Tackle Football, AAF….and much more! 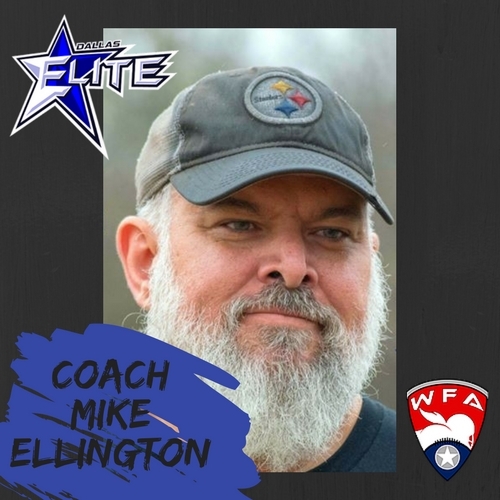 In Episode 1908 of Women's Football Success, LynMarie Liberty-Ellington talks with Coach Mike Ellington, Head Coach of the Dallas Elite about what he looks for in a coach, his coaching philosophy, and building a winning team. 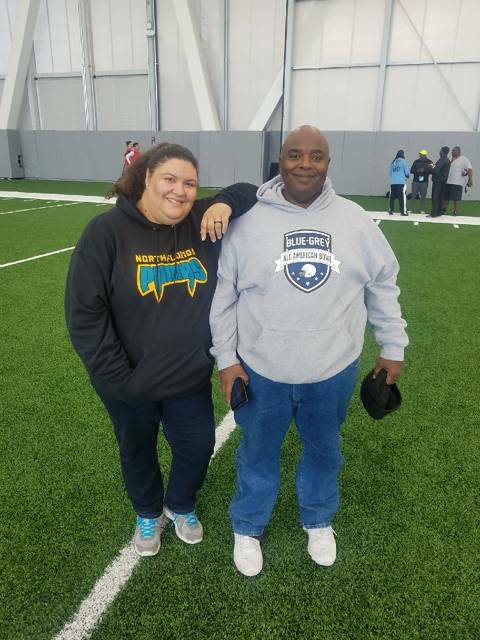 Tuesday, February 26, 2019 9:00 p.m.- EST Coach Johnson will discussing Women’s Tackle Football, AAF….and much more! In Episode 1907 of Women's Football Success, Lynmarie Liberty-Ellington talks all about fundraising. Over 15 fundraising ideas your women's football team can implement today. Tuesday, February 19, 2019 9:00 p.m.- EST Coach Johnson will discussing Women’s Tackle Football, AAF….and much more! In Episode 1906 of Women's Football Success, LynMarie Liberty-Ellington talks about what teams should be doing mid-February, recognizes a few teams around the WFA putting in the effort in women's football, and what needs to happen for people to take women's football seriously. Tuesday, February 12, 2019 9:00 p.m.- EST Coach Johnson will discussing Women’s Tackle Football, AAF….and much more! In Episode 1905, LynMarie Liberty-Ellington continues her 3-part series about how successful women's football can be as an industry. In addition, Lyn shares the February calendar for what your team should be doing to get ready for the season. Tuesday, February 5, 2019 9:00 p.m.- EST Coach Johnson will discussing Women’s Tackle Football, College and the NFL….and much more! In Episode 1904 of Women's Football Success, LynMarie Liberty-Ellington talks about creating a foundation with your women's football team. Tuesday, January 22, 2019 9:00 p.m.- EST Coach Johnson will discussing Women’s Tackle Football, College and the NFL….and much more! 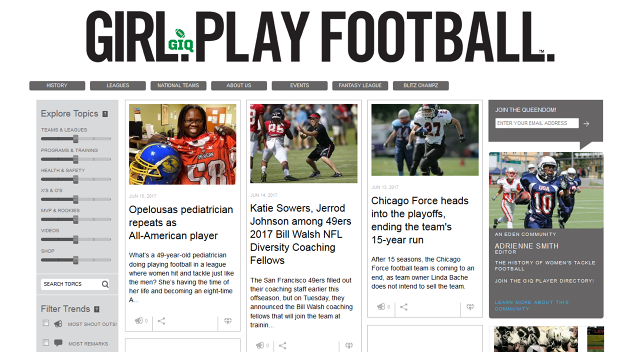 In Episode 1903, LynMarie Liberty-Ellington begins a series of shows to help legitimize women's football to help bring the sport to the forefront within our communities. She touches on January must-dos and upcoming weeks. Tuesday, January 15, 2019 9:00 p.m.- EST Coach Johnson will discussing Women’s Tackle Football, College and the NFL….and much more! In this week's Episode 1902 of Women's Football Success, LynMarie Liberty-Ellington talks about Planning Your Team's Season and Legitimizing Women's Football. Tuesday, January 8, 2019 9:00 p.m.- EST Coach Johnson will discussing Women’s Tackle Football, College and the NFL….and much more! In Episode 1901, LynMarie Liberty-Ellington recaps a Women's Football Team Ugly Sweater Party as well as 4 great fundraising ideas and expense reducing strategies. Tuesday, January 1, 2019 9:00 p.m.- EST Coach Johnson will discussing Women’s Tackle Football, College and the NFL….and much more! Tuesday, December 18, 2018 9:00 p.m.- EST Coach Johnson will discussing Women’s Tackle Football, College and the NFL….and much more! Tuesday, December 11, 2018 9:00 p.m.- EST Coach Johnson will discussing Women’s Tackle Football, College and the NFL….and much more! 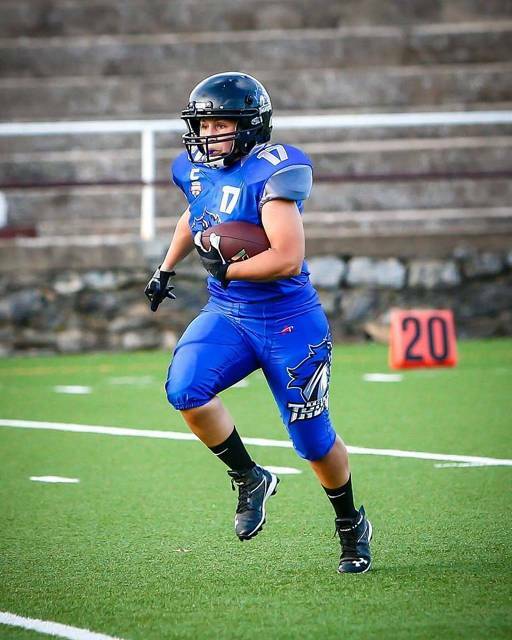 In Episode 1834, LynMarie Liberty-Ellington does a recap of having great player numbers coming into the 2019 season, community involvement, and things going on in the WFA. Tuesday, December 4, 2018 9:00 p.m.- EST Coach Johnson will discussing Women’s Tackle Football, College and the NFL….and much more! Tuesday, November 27, 2018 9:00 p.m.- EST Coach Johnson will discussing Women’s Tackle Football, College and the NFL….and much more! In Episode 1832, LynMarie Liberty-Ellington explains the grassroots approach of women's football and the difference player numbers make. Tuesday, November 20, 2018 9:00 p.m.- EST Coach Johnson will discussing Women's Tackle Football, College and the NFL….and much more! Coach Johnson can be heard every Tuesday night at 9pm-EST on JC Hawks Sports Network. Call-ins are welcome 657-383-1020 or visit us in the chat room at radio.jchawks.com and ask questions that Coach Johnson will answer on-the-air. In Episode 1830, LynMarie Liberty-Ellington discusses player sponsorships, small business sponsorships, and large business sponsorships. 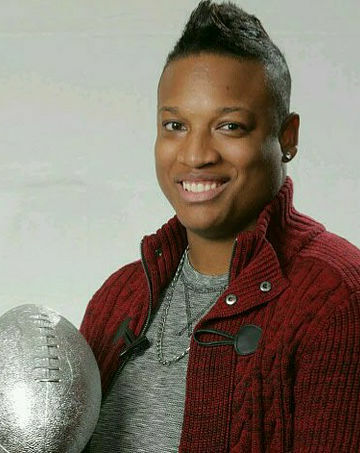 In episode 1828 of Women's Football Success, LynMarie Liberty-Ellington shares her excitement for the 2019 WFA season as well as upcoming tryouts around the WFA, the Owner's Meeting, and the naming of the Directors of Team Development. Tuesday, October 23, 2018 9:00 p.m.- EST Coach Johnson will discussing Women’s Tackle Football, College and the NFL….and much more! This month, On the Air reaches out and talks to our Loose Women from the Ptown Classic Women’s Flag Football Tournament in Provincetown, Massachusettes. We get an idea of who they are, their background and how it feels to be a Loose Woman. Is winning important? what are the challenges and joy to play on the Loose Women’s team. We talk with a university professor, marine biologist, player from years past, player met the night before the tournament who is also our oldest player in the IWFFA league. It’s a light hearted and interesting show tonight with lot’s of laughs which you will enjoy listening to. 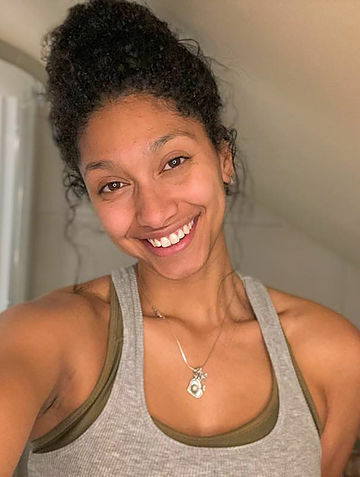 In Episode 1827, LynMarie Liberty-Ellington shares upcoming tryouts in the WFA, Shout outs to teams doing things around the country, setting up a social event to welcome new players, and what to do for a Contract Signing Party. Tuesday, October 16, 2018 9:00 p.m.- EST Coach Johnson will discussing Women’s Tackle Football, College and the NFL….and much more! 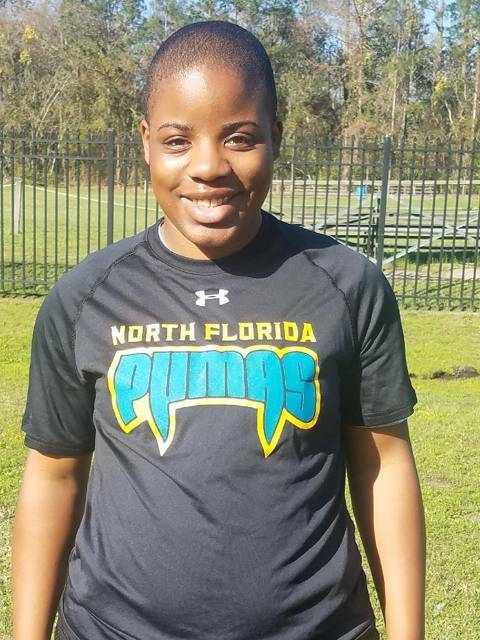 In Episode 1826, LynMarie Liberty-Ellington talks about last weekend's tryouts, upcoming tryouts around the WFA, 5 Things a Player Can Do To Promote Themselves, and Signing Day. Tuesday, October 9, 2018 9:00 p.m.- EST Coach Johnson will discussing Women’s Tackle Football, College and the NFL….and much more! 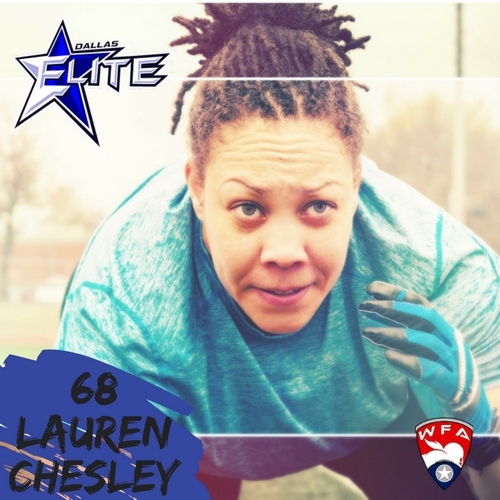 In Episode 1825, LynMarie Liberty-Ellington discusses tryouts around the U.S. in the Women's Football Alliance and different ways female players can promote themselves. 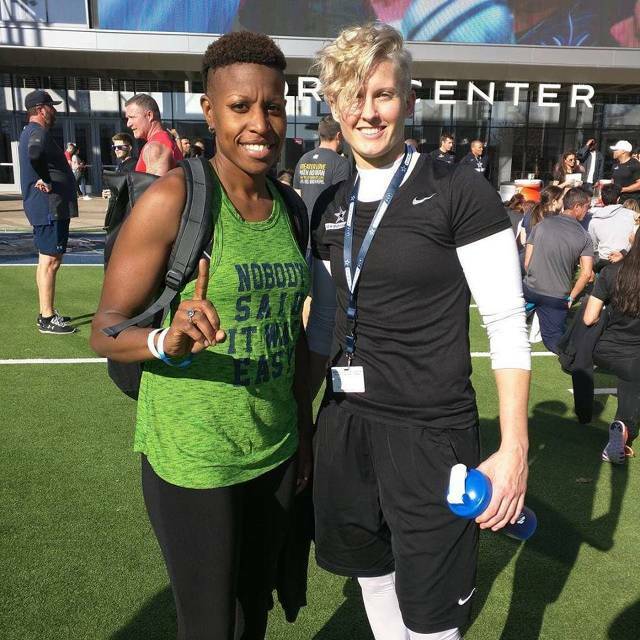 In Episode 1824 of Women's Football Success, LynMarie Liberty-Ellington discusses player issues including players paying to play, sponsorships, and off season workouts. Tuesday, September 25, 2018 9:00 p.m.- EST Coach Johnson will discussing Women’s Tackle Football, College and the NFL….and much more! The Indian flag footballers joined the IWFFA’s 2018 India Promotional Tour, sponsored by: EFLI and ESI. Switching from 5 on 5 to 8 on 8, the women take on a larger role for the sport which we talk in our interviews with the Indians. For 10 days straight – in grueling heat, these women practiced twice on the field for 2.5 hours each session and then inside the classroom for 2 hours for the player and officiating clinics. The Indians hosted the Afghanistan women who then ended the clincs with India Women’s Flag Football first International Championship to be victorious in their competition. India is a very different culture from the western world, and we enter into new territory for female flag football . 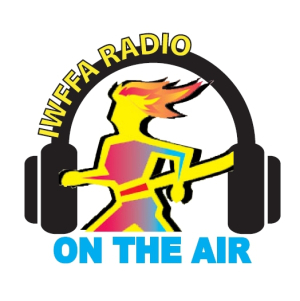 This show is one of our most interesting to air on the Air with the IWFFA. In Episode 1823, LynMarie Liberty-Ellington talks about marketing on the team level as well as things players can do to promote themselves. Tuesday, September 18, 2018 9:00 p.m.-EST Coach Johnson will discussing Women’s Tackle Football, College and the NFL….and much more! 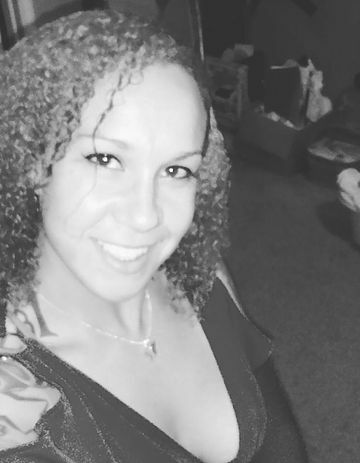 In Episode 1822, LynMarie Liberty-Ellington talks about WFA tryouts, upcoming events, new marketing strategies, and the Women's Football Success Newsletters. Tuesday, September 11, 2018 9:00 p.m.-EST Coach Johnson's guest will be Mike Wallace, Head Coach for the Tri-Cities Thunder. Tonight’s topics of discussion will be changes in the USWFL, College and NFL games….and much more! Thursday, August 30, 2018, 8pm-CST this week on the Dallas Elite Radio Show will be Coach Lacy Downs and Coach Mike Ellington. Guests on tonight's show will be Jaclyn McAdory and Kristen Fields. Dallas Elite Weekly Radio Show for the off-season can normally be heard every other Monday at 8 pm-CST. Tuesday, August 28, 2018 9:00 p.m.-EST Coach Johnson's guest will be Mike Wallace, Interim Head Coach for the Tri-Cities Thunder. Wednesday, August 22, 2018, 8pm-CST (Episode 1819) LynMarie Liberty-Ellington is the host of Women’s Football Success. 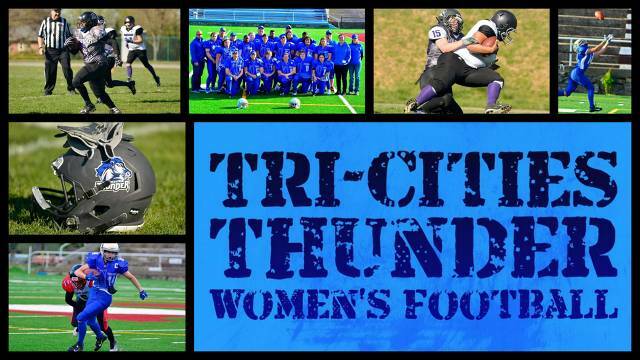 In this week's episode LynMarie talks about where your team should be on the Women's Football Calendar, suggestions for getting the word out about your upcoming tryouts, and off season events you can do for team unity now. 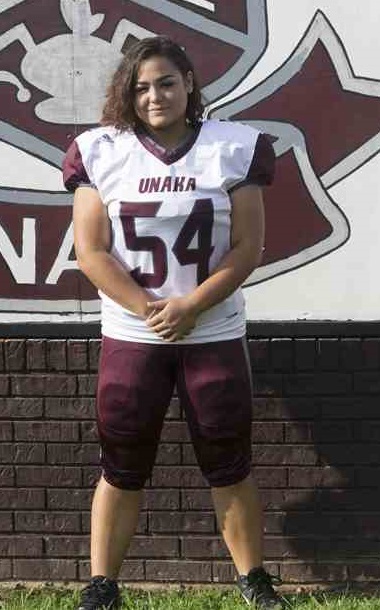 Tuesday, August 21, 2018 9:00 p.m.-EST Coach Johnson's guest will be Cydney Robertson, Defensive Tackle for Unaka High School. 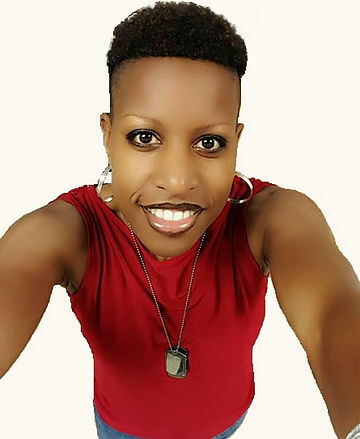 Wednesday, August 15, 2018, 8pm-CST (Episode 1818) LynMarie Liberty-Ellington is the host of Women’s Football Success. In tonight's episode LynMarie talks about upcoming tryouts team's are advertising, and how visibility of your team is essential to the future success of the individual team, and player as well as the industry as a whole. Tuesday, August 14, 2018 9:00 p.m.-EST Coach Johnson's guests will be Terry McGriff, Co-Owner of the North Florida Pumas and Mike Wallace, Interim Head Coach for the Tri-Cities Thunder. Monday, August 13, 2018, 8pm-CST this week on the Dallas Elite Radio Show will be Alexias Stricklin, Coach Lacy Downs and Coach Mike Ellington. 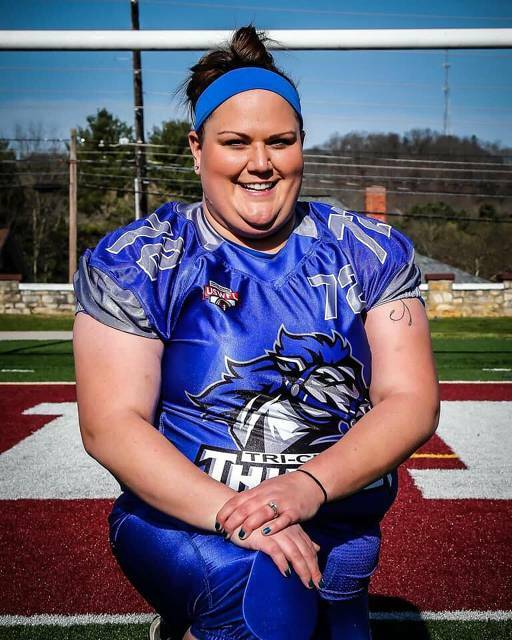 Tuesday, August 7, 2018 9:00 p.m.-EST Coach Johnson’s guest on tonight’s show will be Mindy Jenkins from the Tri Cities Thunder, USWFL 2018 Defensive Line Woman of the Year. 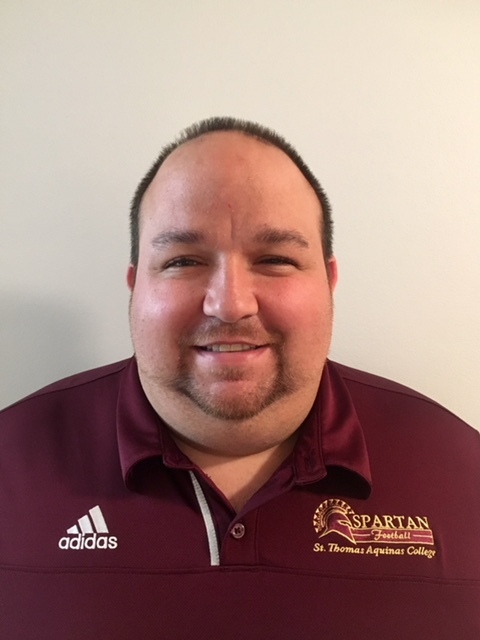 Friday, August 3, 2018 8pm-CST, Coach Stone's guest on Coach Stone Podcast will Coach Chris Capezzuto. Wednesday, August 1, 2018, 8pm-CST (Episode 1816) LynMarie Liberty-Ellington is the host of Women’s Football Success. 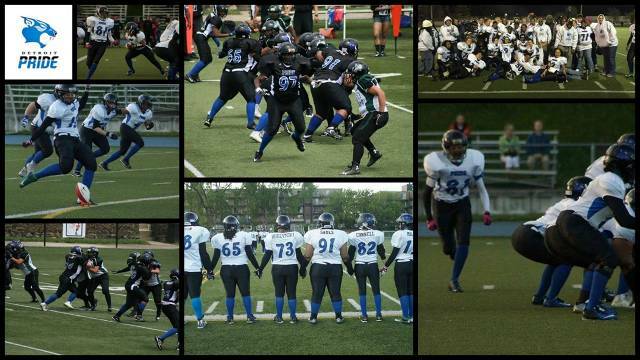 Today LynMarie is going to do a recap of the WFA Championship from an owner’s perspective and give a rundown of her 7 Steps to Jumpstart your Women’s Football Team. Also, she is going to give you some ideas of what teams should be doing to start getting ready for the 2019 season. Friday, July 27, 2018 8pm-CST, Coach Stone's guest on Coach Stone Podcast will be Shakir Soto, Defensive Lineman, Oakland Raiders. 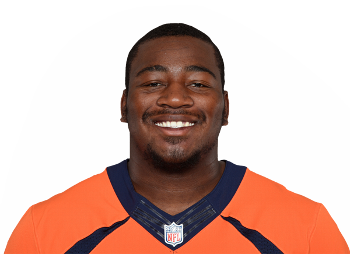 CAREER: Signed with the Denver Broncos as an undrafted free agent in May 2017 where he spent training camp with the club…Signed to the Oakland Raiders practice squad in Dec. 2017 and was signed by the club as a reserve/future free agent in Jan. 2018. 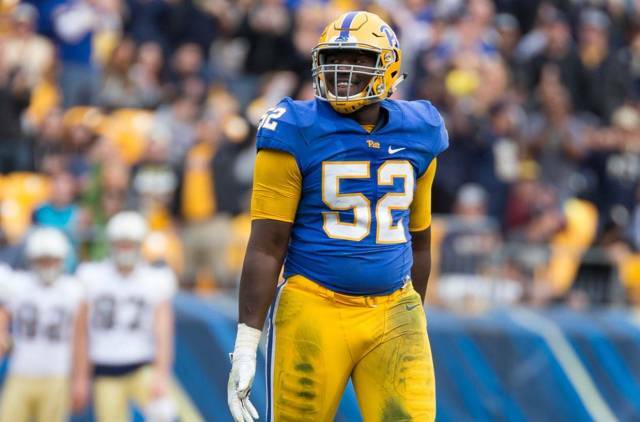 COLLEGE: Played four years at Pittsburgh, appearing in 52 games during his career while making 29 starts, compiling 120 tackles (74 solo), 7.5 sacks and one pass defensed…Started in 12-of-13 games as a senior in 2016, producing his best statistical season, making 46 stops (30), 4.5 sacks and one pass defensed…Appeared in 13 games and made three starts as a junior in 2015, totaling 23 tackles (16), two sacks and one blocked kick…Started all 13 games as a sophomore in 2014 and recorded 31 tackles (15)…Appeared in 13 games as a true freshman in 2013, making one start and notched 20 tackles (13) and one sack. PERSONAL: Attended G.A.R. Memorial High School in Wilkes-Barre, Pa. …Totaled 52 sacks during his prep career…A two-time All-State Class AA selection by the Pennsylvania Sports Writers and Wyoming Valley Conference Football Coaches Association Small School Defensive Player of the Year (Class AA-Class A) as a senior in 2012 after posting 109 tackles, 13.5 sacks and six fumble recoveries. Friday, July 20, 2018 8pm-CST, Coach Stone's guest on Coach Stone Podcast will be Rich Williams, Co-Founder and COO of Mayfield Athletics, makers of S.A.F.E. Clip. Mayfield Athletics has developed a revolutionary new facemask clip called S.A.F.E.clip which, when used in conjunction with any current football helmet, is designed to reduce the impact felt by a player from a blow to the head. Rich is a lifelong football enthusiast, 3-time fantasy football champion and die-hard Steelers fan...you could say football is important to him. Rich is always looking to find ways to understand things. This passion led him to look for ways to better understand football safety while being part of a team whose desire is safer football. Wednesday, July 18, 2018, 8pm-CST (Episode 1814) LynMarie Liberty-Ellington is the host of Women’s Football Success. In today’s episode, LynMarie discusses the upcoming WFA Championship in Atlanta, GA and her response to the Best of the West Owner's Forum. The two part series discusses educating potential investors, Thinking Too Big, owner's fault, business planning, and much more. Her discussion of the forum topics continues in Episode 1815. Tuesday, July 17, 2018 9:00 p.m.-EST A season has come to an end. Coach Johnson will discuss the games of the championship and other topics related to women’s tackle football. Alexias Stricklin, Tessa Sharman and Coach Mike Ellington. 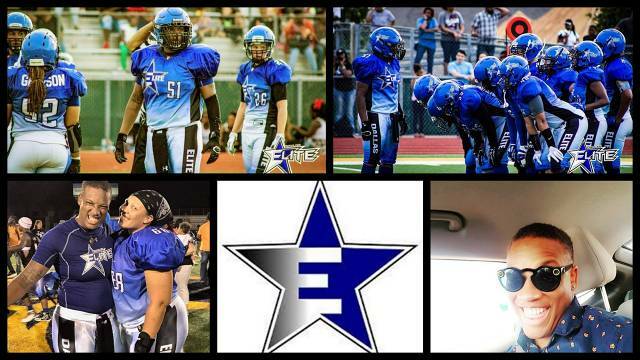 Dallas Elite Weekly Radio Show for the off season can be heard every other Monday at 8 pm-CST. Friday, July 13, 2018 8pm-CST, Coach Stone's guest on Coach Stone Podcast will be Austin Hersh, FNF Coaches Magazine. Austin is the Social Media Manager for FNF Coaches magazine. He has been working with them for a year and a half. During the duration of his time there he has worked with their Twitter, Facebook, and Instagram profiles. 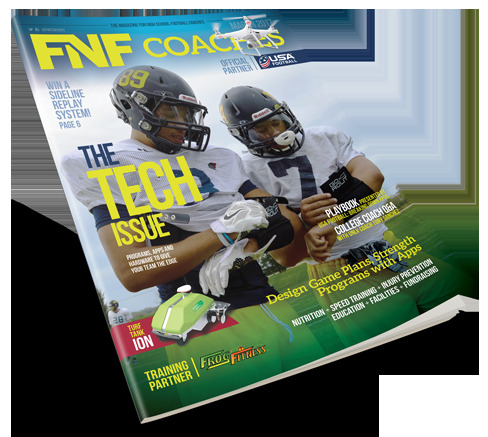 In order to stay up to date with all things FNF Coaches, please follow them @fnfcoaches on Twitter. 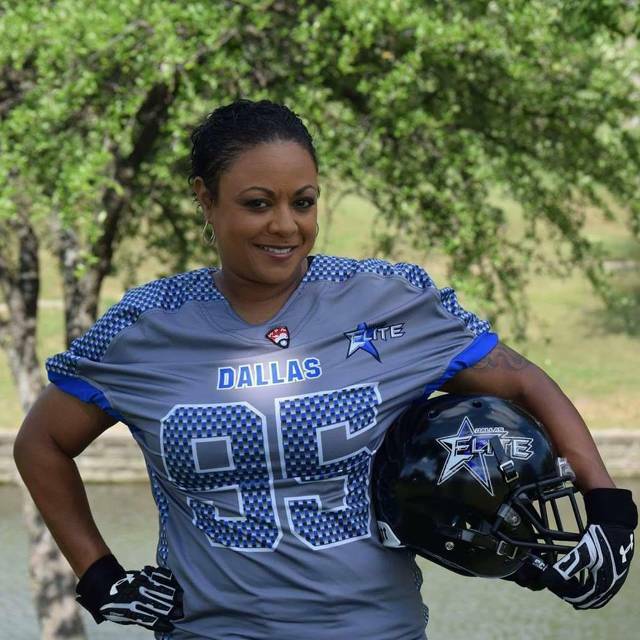 Wednesday, July 11, 2018, 8pm-CST (Episode 1813) LynMarie Liberty-Ellington is the host of Women’s Football Success. In today's episode, LynMarie Liberty-Ellington talks about the basics of customer service and how they relate to a women's football team. Friday, July 6, 2018 8pm-CST, Coach Stone's guest on Coach Stone Podcast will be Brandon Leon, Founder of Fantom LLC. Brandon Leon Founder of Fantom LLC. was born and raised in Asheville, NC. He played football at Asheville High School where he earned All Conference Honors as a Left Tackle and Defensive End. Upon graduating High School, he enrolled at Appalachian State with a preferred walk on opportunity to play football and to pursue an education in International Business however, he was not ready for all that college had to offer. Tuesday, July 3, 2018 9:00 p.m.-EST Coach Johnson's discuss Playoffs and Championship weekend. 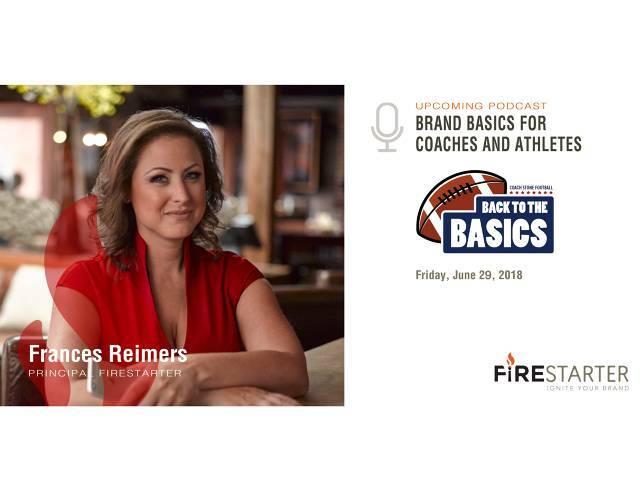 Friday, June 29, 2018 8pm-CST, Coach Stone's guest on Coach Stone Podcast will be Frances Reimers. Tuesday, June 19, 2018 9:00 p.m.-EST Coach Johnson's guest will be Coach Bobby Patterson, Head Coach of the LA Warriors, who play in the WFA. Coach Patterson will discuss the upcoming playoff game against the Portland Fighting Shockwave set for Saturday, June 30th. Coach Johnson will also discuss last week’s games in the USWFL as well as the playoffs. 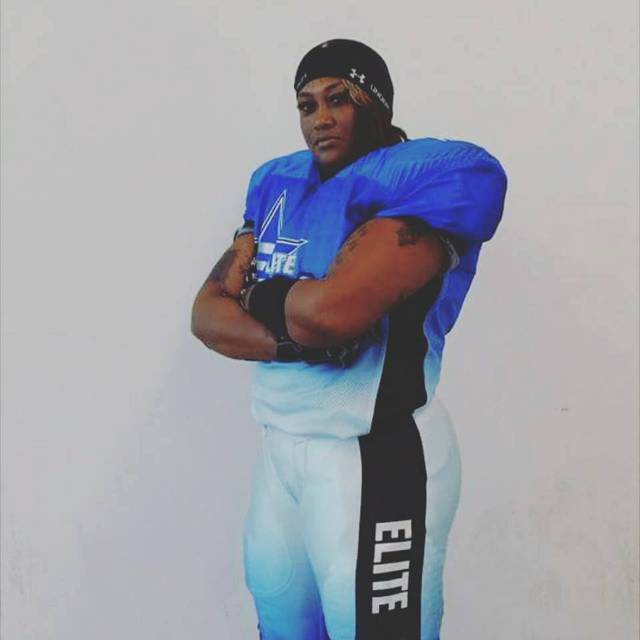 Wednesday, June 13, 2018, 6pm-CST (Episode 1809) LynMarie Liberty-Ellington is the host of Women’s Football Success.In this week's episode LynMarie talks about the state of women's football, unity within a league, supporting struggling teams and the upcoming championship weekend. Women's Football Success can normally be heard Every Wednesday at 8 pm-CST. 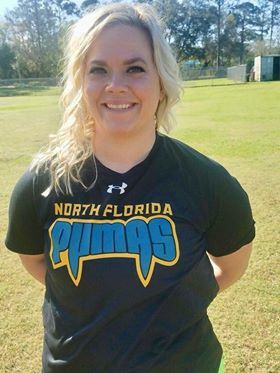 Tuesday, June 12, 2018 9:00 p.m.-EST Coach Johnson's guests will be Terry McGriff, Co-Owner of the North Florida Pumas, Paige Jones and Lauren Hedegard from the North Florida Pumas. Coach Johnson will also discuss last weeks games. Friday, June 8, 2018 8pm-CST, Coach Stone's guest on Coach Stone Podcast will be Jerry Vallotton (Coach Val) author of "The Toss". SPECIAL PROMOTION: Purchase "The Toss" and get the Double Wing Play Cutups dvd for $15 (regular price $35). 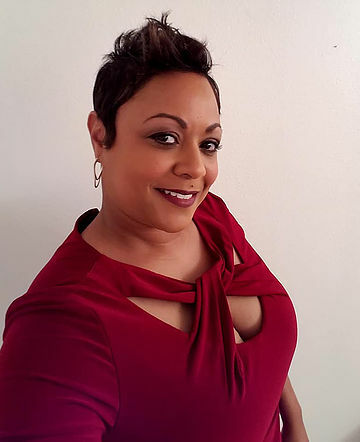 Wednesday, June 6, 2018, 8pm-CST (Episode 1808) LynMarie Liberty-Ellington is the host of Women’s Football Success.In this week's episode LynMarie talks about women's football team travel options and basic event planning. She also created a template for teams at www.supersmallbiz.com Women's Football Success. 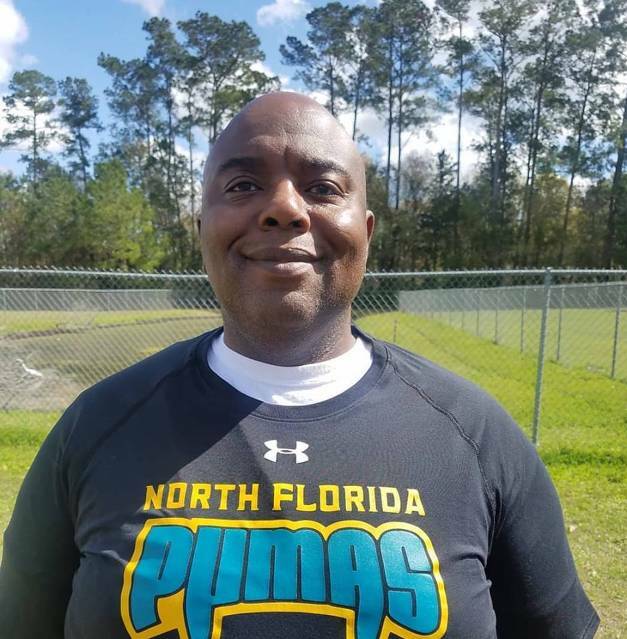 Tuesday, June 5, 2018 9:00 p.m-EST Coach Johnson's guest will be Terry McGriff, Co-Owner of the North Florida Pumas. Coach Johnson will also discuss last weeks games. 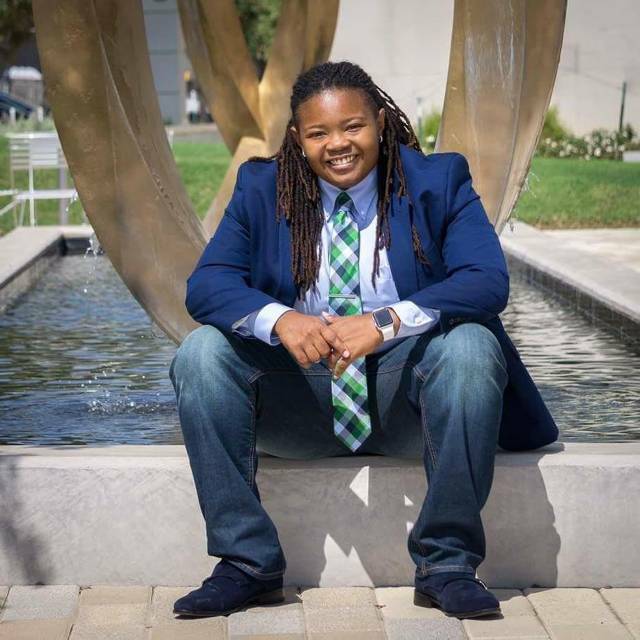 Wednesday, May 30, 2018, 8pm-CST (Episode 1807) LynMarie Liberty-Ellington is the host of Women’s Football Success. In this episode we discuss the importance of a player fan base, how to create one, and how to grow your number of fans. 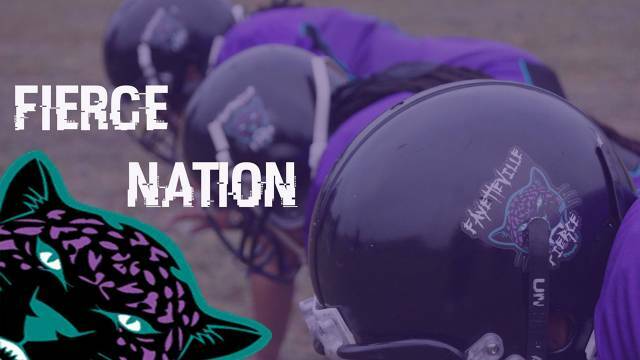 Tuesday, May 22, 2018 9:00 p.m-EST Coach Johnson's guests will be Que Johnson of the North Florida Pumas, Defensive Player of the Week and Cherri Gnatt of the Washington Prodigy, Offensive Player of the Week for week six in the USWFL. Coach Johnson will also have on Terry McGriff, Co-Owner of the North Florida Pumas. Friday, May 18, 2018 8pm-CST, Coach Stone's guest on Coach Stone Podcast will be Coach Tom Creguer of High and Tight. 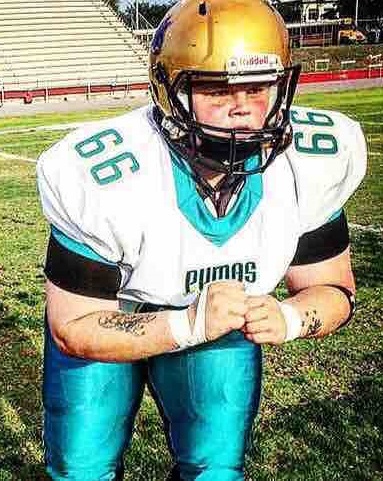 Tom Creguer (Cray-jur) grew up playing football like most kids back in the day, in their yard, and then learned from a dad-coached youth league. Tom went on to play Running back and Linebacker in a small farming community in the "thumb" of Michigan. Receiving only letters from a few D3 programs and not being recruited to play College football he walked into his future Head Coach's office in the summer of 1989, introduced himself and graduated a Co-Captain 6 years later on a Mid American Conference Championship team. A D1 career never should have been in the cards for a kid that barely had a D3 level of ability. While in College, Creguer joined the United States Marine Corps Reserve, got activated and served our Country in Desert Shield/Storm until returning to complete his degree and eligibility. Upon graduation, he turned down his commission as a Marine Officer, finished his reserve obligations while started a career teaching and coaching in High School. This once D3 talented, D1 accomplished athlete soon took his passion to the D2 level as a coach. He started as a volunteer assistant and quickly feel in love with all facets of the College Coaching game. He quickly transitioned into many Collegiate roles including: Director of Football Operations, Recruiting Coordinator, Special Teams Coordinator, Equipment Manager, Wide Receivers coach, whatever the program needed to be successful. Successful they were, Northwood University won 3 GLIAC Championships and made it to the Final 8 in the NCAA tournament in the first eight seasons Coach was involved. Then in 2008, Coach Creguer made the best decision of his life and married his wife and started a family while transitioning back to High School teaching and coaching for what appeared to be more family time. Unfortunately, Coach watched his high school football team literally fumble its season away the third year in HS and he knew he had to do something. What he did was to develop an innovative training tool which is now being lauded by coaches and players in the National Football League as well as the College programs across the Nation — and which is now changing the game at all levels for good. With the blessing of his wife and family, Coach Creguer returned to Northwood (D2 in MI) and is currently one of the running backs coaches. The training ball called HIGHandTIGHT (or as Jason Garrett, Head Coach of Dallas Cowboys, calls it- the signing football) which is helping ball carriers at all levels of football learn to hold the pigskin correctly and, thus, decrease their chances of fumbling in a game situation continues to make an impact on his College team daily. For another, HnTv1 and HnTv2 are particularly slippery, forcing ball carriers to perfect their ball control skills, simulating wet conditions that most programs face outside of a domed environment. 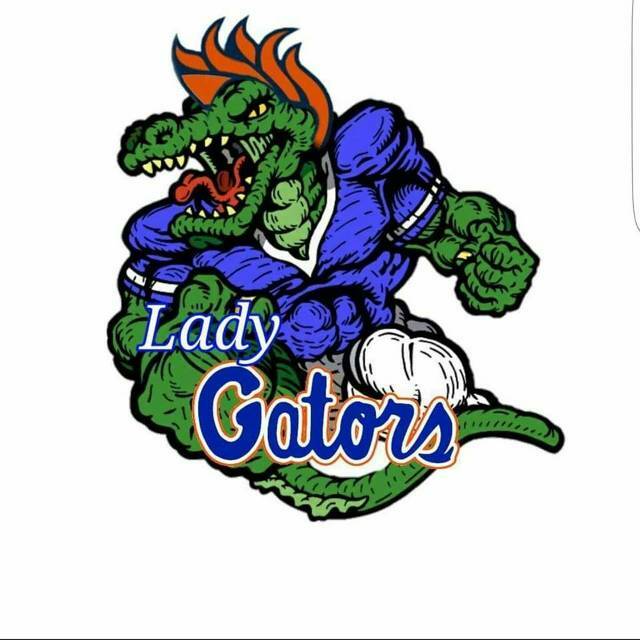 Tuesday, May 15, 2018 9:00 p.m-EST Coach Johnson's guest will be JaQuaria (JQ) Barnes of the Hampton Roads Lady Gators, Defensive Player of the Week for week five in the USWFL. Coach Johnson will also discuss this week’s upcoming games and much more…. Pinto coached for the Pioneers from 2002-04 and again from 2010-2015. He was the running backs coach at Saint Peter’s College from 2005-06. He worked with the offensive and defensive lines at Arthur L. Johnson Regional High School (2007-08), and led the school’s girls track team to the 2008 Group 2 state title. In addition, he coached the North Jersey Tri County Conference Division 6 championship team, Jersey City’s Lincoln High School, during the 2009 season and rejoined the team for the 2016 and 2017 seasons. He currently serves as a physical education, health, and driver education teacher at Liberty High School in Jersey City, New Jersey. Erika Bobo, and Alexias Stricklin. 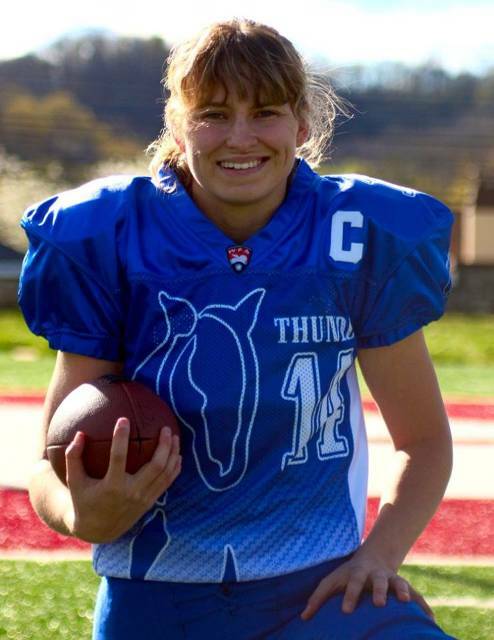 Tuesday, May 1, 2018 9:00 p.m.-EST Coach Johnson's guests will be Junia Gindlesperger of the Tri Cities Thunder, Offensive Player of the Week and Liz Speaks of the Capital City Savages, Defensive Player of the Week for week three in the USWFL. 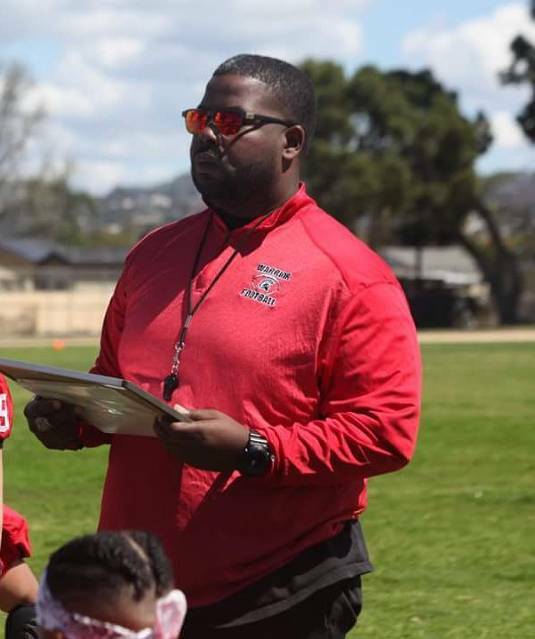 Also joining Coach Johnson will be Coach Bobby Patterson, Head Coach of the LA Warriors, who play in the WFA. Coach Johnson will also discuss last week’s games in the USWFL as well as this week’s games. Monday, April 23, 2018, 8pm-CST Desiree Allen and Jamie Fornal special guests on the Dallas Elite Weekly Radio Show will be Rasan Gore, Teoka McDonald and Shaterika Allen-Bey. 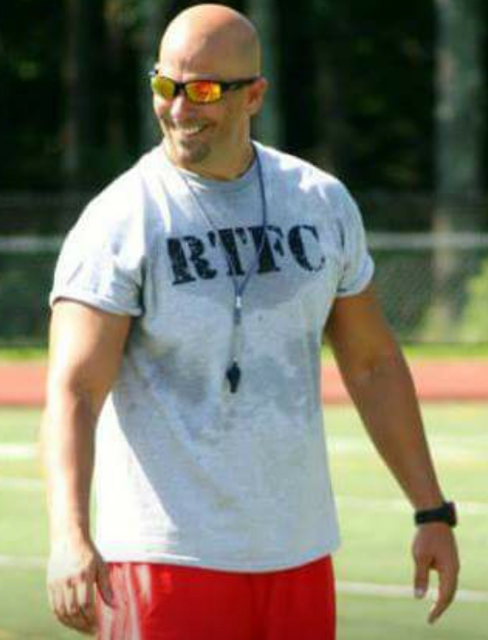 Friday, April 20, 2018 9p.m.- EST, Coach Stone's guest on Coach Stone Podcast will be Coach Tim Healy who has been around football his whole life, playing 4 years at St. John’s University, signing a free agent contract with the New Orleans Saints and coaching for 3 years at the Roseville, MN High School. 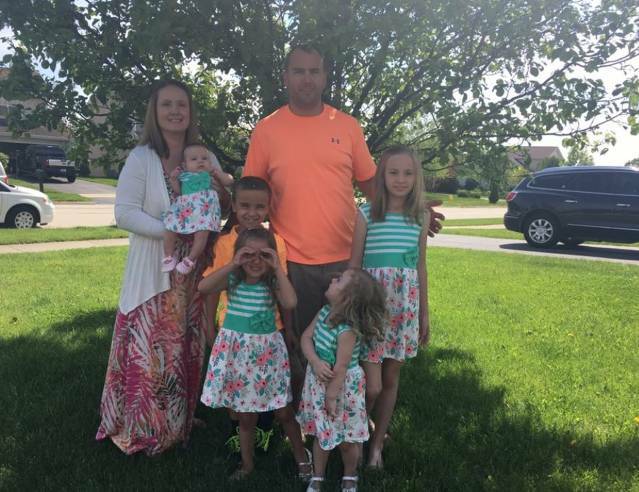 As a father of seven, he has also coached his three boys in over 10 seasons of youth football. 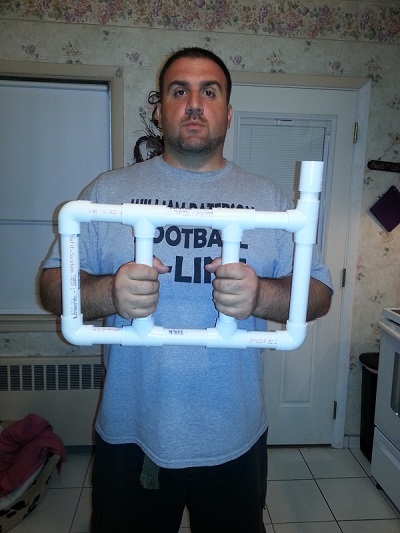 This last season, Tim coached his son’s middle school team in the first season of TackleBar™ Football. With a passion and love for the game, Tim has learned many life lessons and made lifelong friends on and around the field. Tim feels strongly the game offers the opportunity to build both virtue and character. Perseverance, teamwork, brotherhood, and both mental and physical toughness are just a few of the areas that players develop. 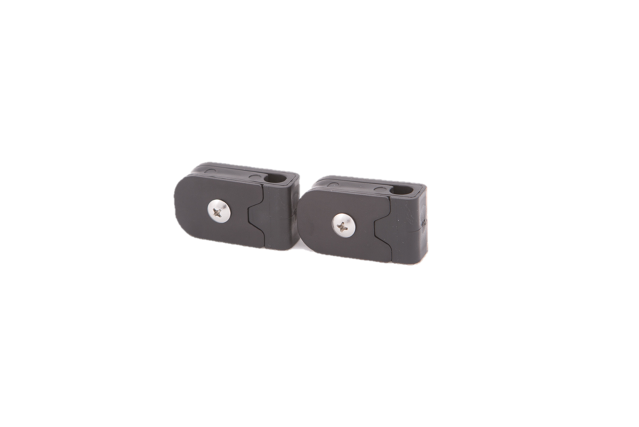 Prior to TackleBar, Tim owned a medical device distributorship representing Medtronic Spine and Biologics. Tim’s interest in TackleBar is offering a safer game that can and will encourage greater participation. 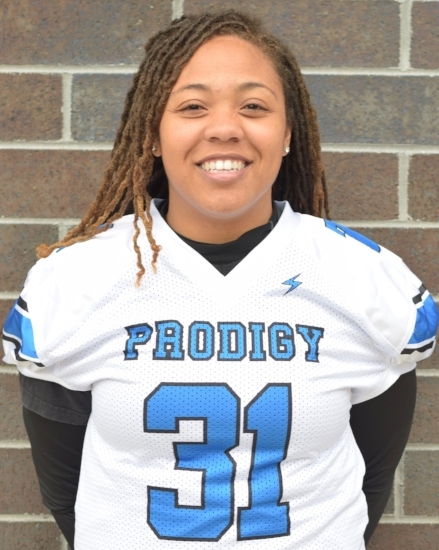 Tuesday, April 17, 2018 9:30 p.m.-EST Coach Johnson's guests will be Tinoi Jones of the Washington Prodigy, Defensive Player of the Week and Katelyn Cox of the Tri Cities Thunder, Offensive Player of the Week for week one. 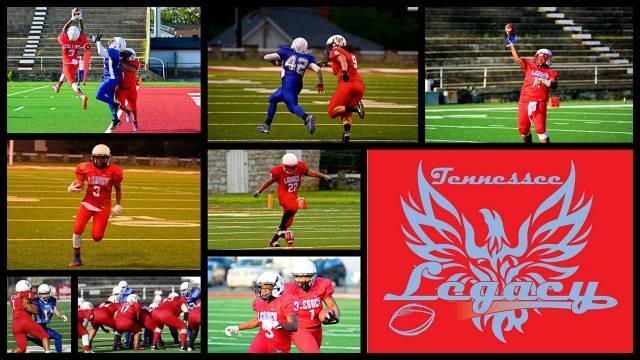 Coach Johnson will also discuss last weeks games in the USWFL as well as next weeks games. 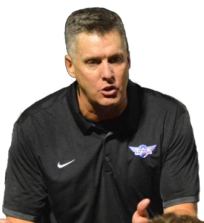 Friday, April 13, 2018 9p.m.- EST, Coach Stone's guest on Coach Stone Podcast will be Coach Randy Jackson who is currently Head Coach at North Forney High School 10-3 for this season, an author, award winner and a career record of 154 - 64. 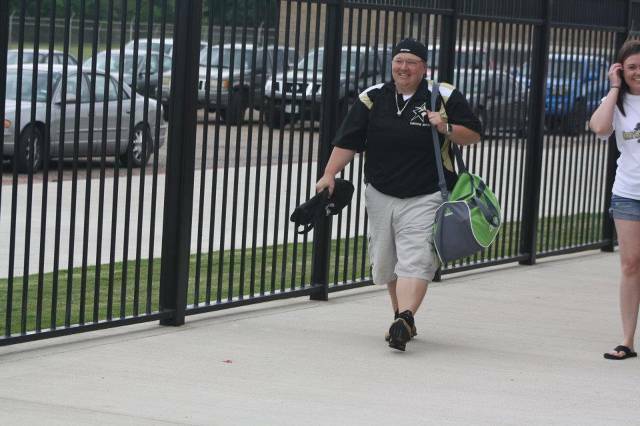 Currently head coach at North Forney High School - 10-3 this season. Tuesday, April 10, 2018 9:30p.m. - EST Coach Johnson's guest will be Coach Mike Ellington, Defensive Coach for the WFA's Dallas Elite. Coach Ellington will discuss the game against the Austin Outlaws, the strength of the team and games for the rest of the season. Coach Johnson will also discuss this weeks games in the USWFL as well as next weeks games along with two new shows coming out on JC Hawks Sports Network. Friday, April 6, 2018 9p.m.- EST, Coach Stone's guest on Coach Stone Podcast will be Willie Pile. Bio: Willie Pile was born in New York City & raised in Virginia. 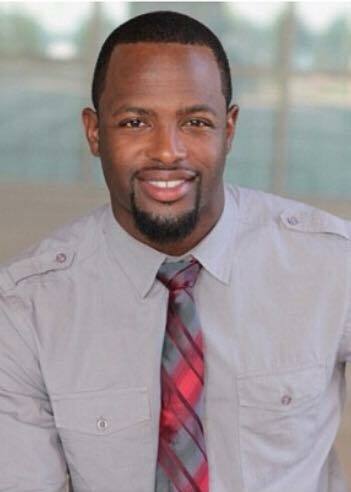 He's a former Virginia Tech All American Safety & graduate of their Pamplin Business School. Willie was a 2003 NFL Draft pick of the Kansas City Chiefs. He has also played for the Dallas Cowboys & Toronto Argonauts of the CFL, spanning a total of 10 years as a pro athlete. More importantly, he is the proud husband to Keia (of 12 years) and father of nine year old Jaylen Pile & 1 1/2 year old Brycen Pile. Tuesday, April 3, 2018 9:00p.m. 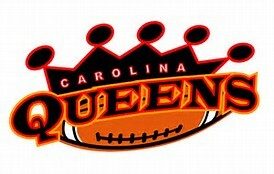 - EST Coach Johnson's guest on The 5th Quarter will be Ebony Kimbrough, owner of the Carolina Queens and they will be discussing the Queens upcoming game and the 2018 season. Coach Johnson will also be discussing the Kickoff Classic that was held on Saturday, March 31 where six teams competed in Bristol, TN. Tuesday, March 27, 2018 9:00p.m. 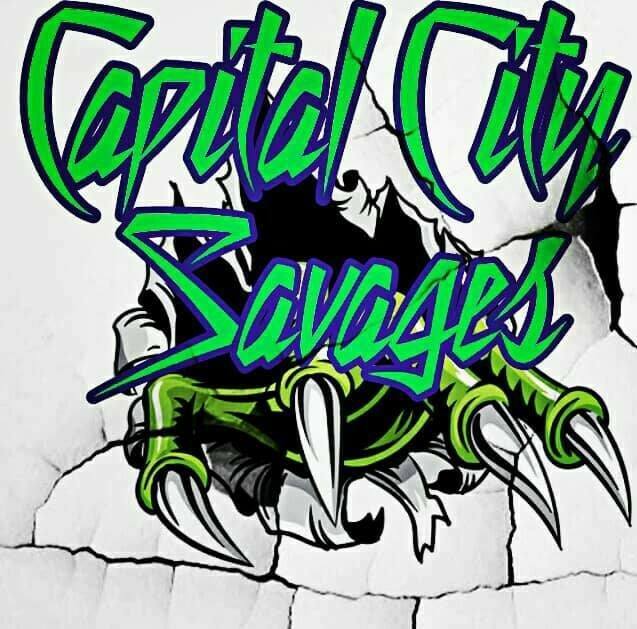 - EST Coach Johnson's guests on The 5th Quarter will be members of the Capital City Savages, Hampton Roads Lady Gators, Fayetteville Fierce and Detroit Pride. Coach Johnson will discuss the 2018 Epic Season Kick-off in Bristol, TN where eight teams will compete, the upcoming 2018 season and much more. Tuesday, March 20, 2018 9:00p.m. 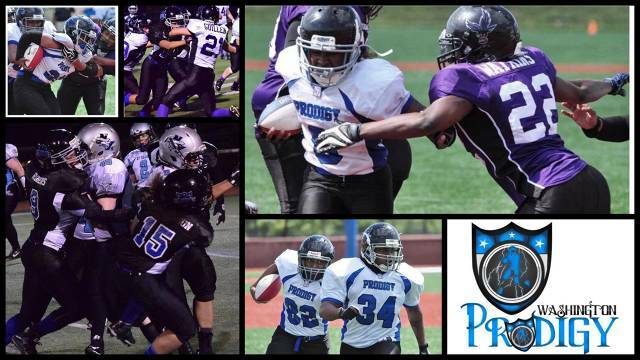 - EST Coach Johnson's guests on The 5th Quarter will be members of the Washington Prodigy, Houston Heat and the North Florida Pumas. Coach Johnson will discuss team practices, the 2018 Epic Season Kick-off in Bristol, TN where eight teams will compete, the upcoming 2018 season and much more. 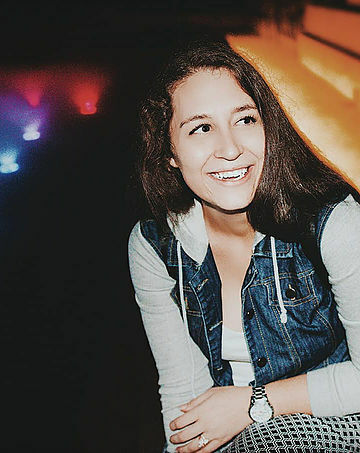 Friday, March 16, 2018 9p.m.- EST, Coach Stone's guest on Coach Stone Podcast will be Ashley Broesch, General Manager for American Football at Hudl. 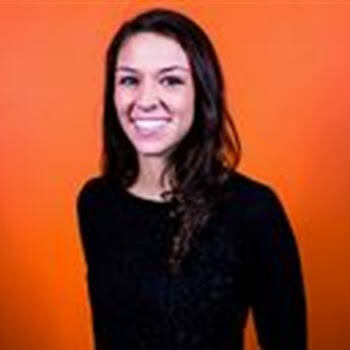 Ashley Broesch, General Manager for American Football, has worked at Hudl for 6 years in a variety of different roles. She works on their football product and with football coaches, which is a favorite part of her job. She has traveled to many clinics over the years speaking on behalf of Hudl and making sure they are delivering a ton of value with their products to football teams. Coach Stone Podcast can be heard Every Friday, 9pm-EST on the JC Hawks Sports Network (jchawks.com). Tuesday, March 13, 2018 9:30p.m. 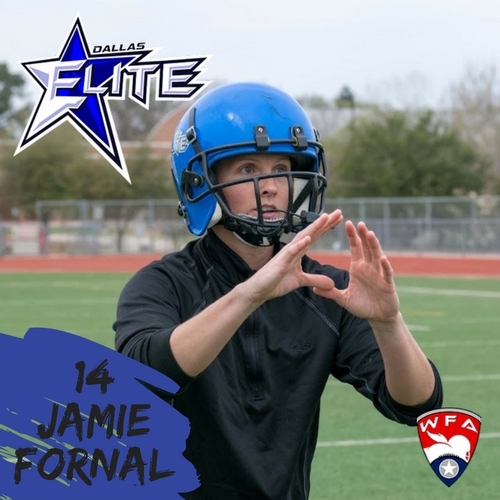 - EST Coach Johnson's guests on The 5th Quarter will be Defensive Line Coach Mike Ellington; Dez Allen #17; Jamie Fornal #14 and Lauren Chesley #68 of the Dallas Elite. Coach Johnson will discuss with Coach Ellington his history in women's football, new co-ownership of the Dallas Elite, what he looks for in players and the upcoming 2018 season. The players will join us and discuss being Champions, the journey toward back-to-back championships and their upcoming game opener against Austin on April 7, 2018. Friday, March 9, 2018 9p.m.- EST, Coach Stone's guest on Coach Stone Podcast will be Coach Cody Alexander, Secondary Coach at Midlothian High School. Cody Alexander is currently the Secondary Coach at Midlothian HS (5A – TX). 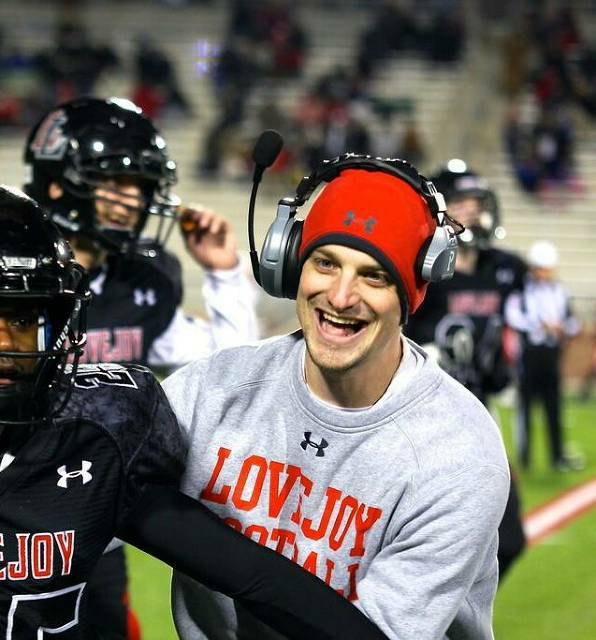 Prior to joining Midlothian, Coach Alexander was the Corners Coach at Lovejoy High School (5A) in Lucas, TX from 2015 to 2016. During the 2014 season, Cody was the co-Defensive Coordinator at L.V. Berkner High School (6A) in Richardson, TX. Before returning to the high school ranks, Coach A. was the Defensive Graduate Assistant at Baylor University under current Arizona St. 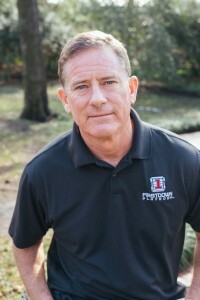 Defensive Coordinator, Phil Bennett. During Coach’s tenure at Baylor, he assisted with the development of the corners and was placed in charge of opponent breakdowns, while overseeing and assisting with defensive recruiting, discovering players such as All-Big 12 LB, Eddie Lackey. While at Baylor, Coach A. was on staff for three bowl appearances (Fiesta, Holiday, & Alamo), and a Big XII Championship (2013). Coach Alexander is from Liberty, MO and currently resides in the DFW area. JC Hawks Sports Network is HOME to The 5th Quarter with Coach Johnson and Coach Stone Podcast. The 5th Quarter with Coach Johnson and Coach Stone Podcast can now be heard on iTunes and Stitcher Radio. Type in JC Hawks Radio and listen anytime!! Add us to your library. Tuesday, March 6, 2018 9 p.m. - EST on the 5th Quarter with Coach Johnson will discuss scrimmages and joint practices before the season starts. Call-ins are welcome 657-383-1020 or use the chat room at radio.jchawks.com. Friday, March 2, 2018 9p.m.- EST, Coach Stone's guest on Coach Stone Podcast will be Coach Eugene Crosby, offensive line coach for Campbellsville University. 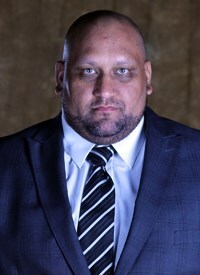 Eugene Crosby was hired as the offensive line coach for Campbellsville University in 2017. In his first season with the Tigers were 8-2 with over 5,300 yards of total offense. The rushing game improved by 400 yards. Crosby was the offensive line coach for the St. Olaf for the 2015 & 2016 seasons. Prior to coming to St. Olaf Crosby coached at Benedict College in South Carolina, Albany State in Georgia where he helped the Golden Rams win the SIAC conference championship in 2013 as defensive line coach. He spent 2010 – 2012 at Beloit College as Co-Offensive Coordinator/Offensive Line coach where he worked with Washington Redskins TE Derek Carrier. Before Beloit previous stops were at Youngstown State University, Delta State University, Oregon State University, Hiram College & Washington & Jefferson College. Crosby received his Bachelor’s degree from Washington & Jefferson College in 2000. Coach Stone Podcast can be heard twice a month on the JC Hawks Sports Network (jchawks.com). Friday, February 23, 2018 9p.m.- EST, Coach Stone's guest on Coach Stone Podcast will be Coach Rob Everett, Defensive Coordinator and subject matter expert for GoArmy Edge App. 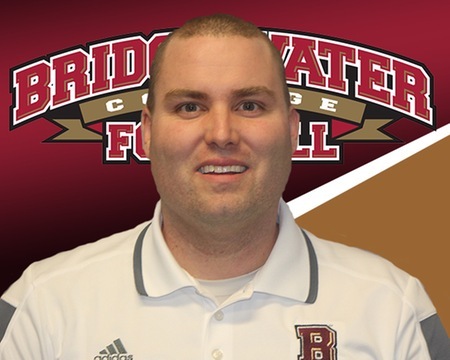 Rob Everett enters his second season as Bridgewater's defensive coordinator in 2017. The Eagles' defense had two All-State selections in 2016 (cornerback Isaac Evans and linebacker Davey Hardesty) and earned six All-ODAC selections in total. Everett is coming off a Virginia 6A state championship as a defensive coordinator at Westfield High School. In five seasons at Westfield, his teams compiled a combined mark of 61-8 and went 15-4 in state playoff games. His 2015 state champion defense allowed just 7.9 points per game over 15 contests. In his first season as an assistant coach at Westfield, the Bulldogs were led by Bridgewater College captains Matthew Pisarcik and Sean Douglass. 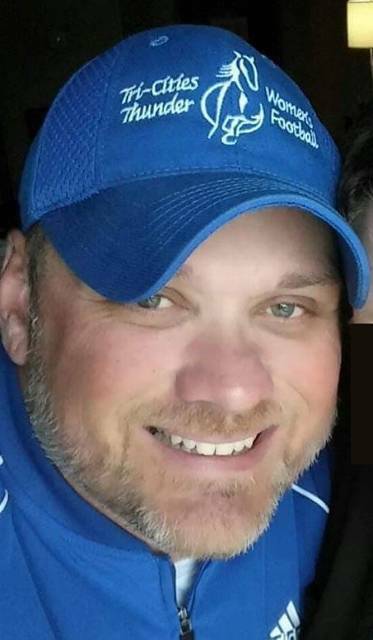 Everett was also employed as a mathematics teacher at Westfield HS, and previously taught math at Washington-Lee High in Arlington, Va.
From 2006-2010, Everett was the head coach at Springfield's Robert E. Lee High School, after originally joining the staff as an offensive line coach. He led the Lancers to three playoff appearances, including a Northern Region finals appearance in 2010. Everett has been a coach advisor for HigherEchelon Inc., which developed the GoArmy Edge Football App, and other companies including Automated Sports Analytics and GameSense Sports. He was also a technical advisor and beta tester for HUDL, and a contributor to the xandoslabs.com coaches resource. Everett founded the Fairfax County Football Coaches Association, and a Camp Director for GameDay Football Inc. He has also coached at the US Army All-American Bowl and the USA Football Regional Development camp. Everett graduated with honors from the University of Michigan in 2002 with a degree in mathematics. He then began his coaching career working with the offensive line at Washington-Lee HS. Coach Stone's podcasts can be heard twice a month on the JC Hawks Sports Network (jchawks.com). Friday, February 16, 2018 9p.m.- EST, Coach Stone's guest on Coach Stone Podcast will be Coach Wes Simmons from 3Dimensional Coaching. Tuesday, February 6, 2018 9 p.m. - EST on the 5th Quarter with Coach Johnson will discuss player development. Call-ins are welcome 657-383-1020 or use the chat room at radio.jchawks.com. Tuesday, January 30, 2018 9 p.m. - EST on the 5th Quarter with Coach Johnson will discuss Part II of players that have that commitment and dedication over the age of 30. Call-ins are welcome 657-383-1020 or use the chat room at radio.jchawks.com. 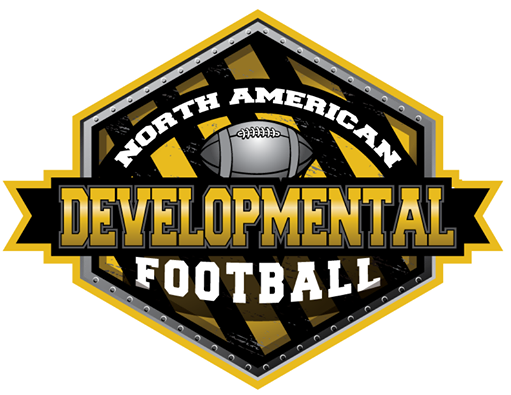 Monday, January 29, 2018 10p.m.-EST, Randall Fields, North American Developmental Football, will be joining me on JC Hawks Radio to discuss the NADF which looks to serve as a developmental system for young girls between the ages of 14-18. 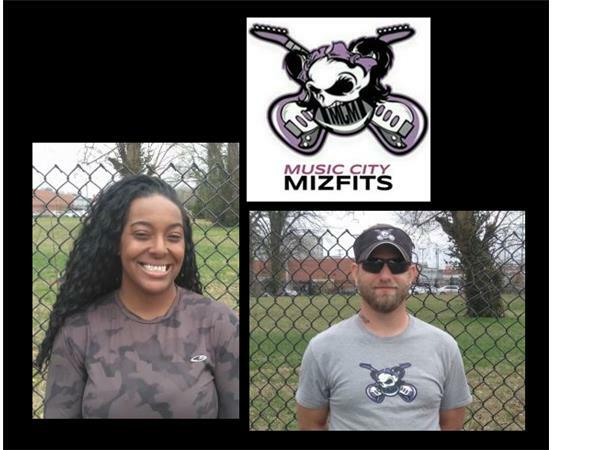 Also joining me will be Donita Hines, Owner/Quarterback and Head Coach Don Ragsdale of the Music City Mizfits. Friday, January 26, 2018 9p.m.-EST, Coach Stone's guest on Coach Stone Podcast will be Coach Jon Wyse. Based in Stoke on Trent in the United Kingdom, Jon is a sports education professional leader whose “WHY” is developing people and programmes via competitive sport. 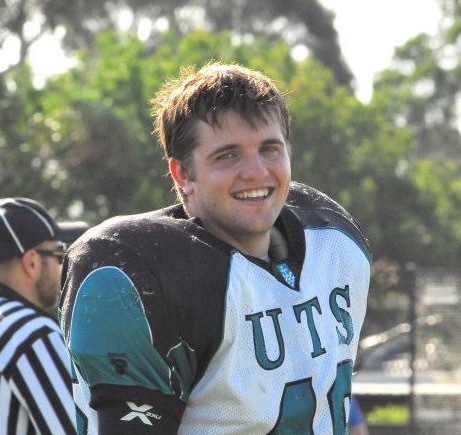 An avid learner and teacher, Jon’s greatest personal developments have come from both the immense network of people he has encountered in American Football, sport, teaching, as well as being a dad to his two little girls, Felicity and Harriet. Jon’s involvement in American Football goes back to 1984 when the game was televised on a weekly highlight show on Sunday evenings (1 week behind the actual games). 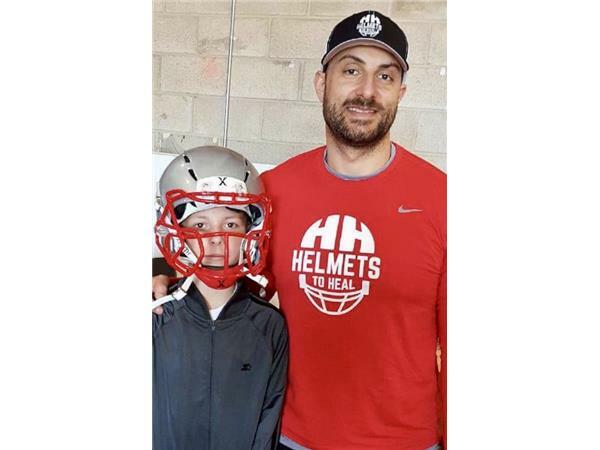 The sport was in it’s infancy in the UK then, and Jon, a multi-sport athlete whose previous first love was Football (Soccer), became enthralled by the NFL and the American version of Football. Football is now a part of his DNA ! 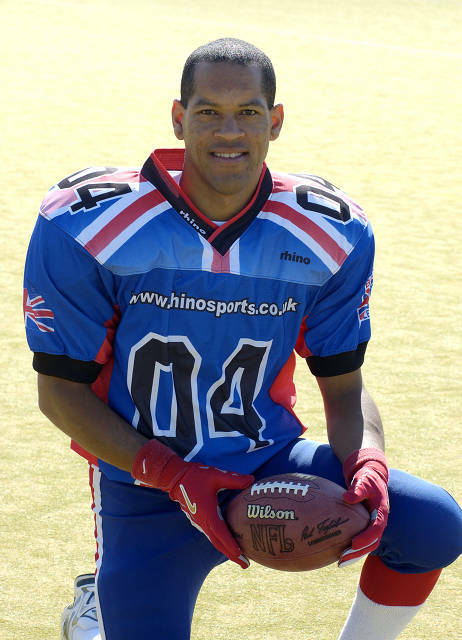 He has played in the amateur league in the UK, representing the Great Britain adult National Team as a defensive back, wide receiver, and kicker. At university, Jon was the first ever College League season MVP in 1994, as well as the starting Quarterback for the GB Student National Team. He was also MVP in the 2004 Britbowl (the UK’s National Championship Game), with a performance capped by a dazzling 50 yard pick six ! Tuesday, January 23, 2018 9 p.m. - EST on the 5th Quarter with Coach Johnson will discuss players that have that commitment and dedication over the age of 30. Call-ins are welcome 657-383-1020 or use the chat room at radio.jchawks.com. Friday, January 19, 2018 Coach Stone’s guest for Coach Stone Podcast will be Coach Kurt Hines. Coach Hines has taught elementary school for the past 23 years and is in his 20th year coaching high school football. 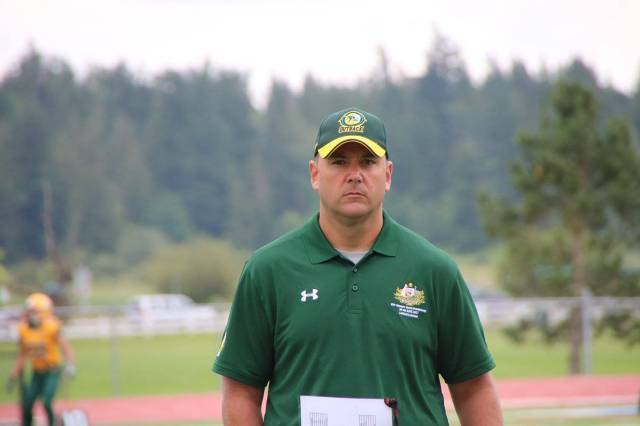 He is currently the Head Coach for the Coronado High School Football Program and is the OC, RB and S&C coach. Coach Hines is passionate about empowering the young people he is blessed to work with and to reach their full potential to do (and BE) more than they ever thought possible. Kurt and his wife Jillian have been married for 23 years, have four children (three daughters; Halee, Abby, and Sophia and one son Brockton) and just recently moved to Southern California from New Hampshire, to be closer to their grandsons Cruz and Maddox! 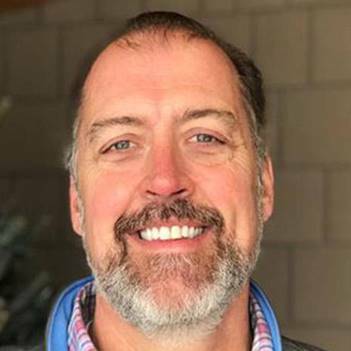 In addition to teaching and coaching high school football, Kurt is a passionate artist who has painted countless murals in homes and businesses all over the country. Tuesday, January 16, 2018 9 p.m. - EST on the 5th Quarter with Coach Johnson will discuss with athletes their drive and determination to make every practice even with their busy schedules. Call-ins are welcome 657-383-1020 or use the chat room at radio.jchawks.com. 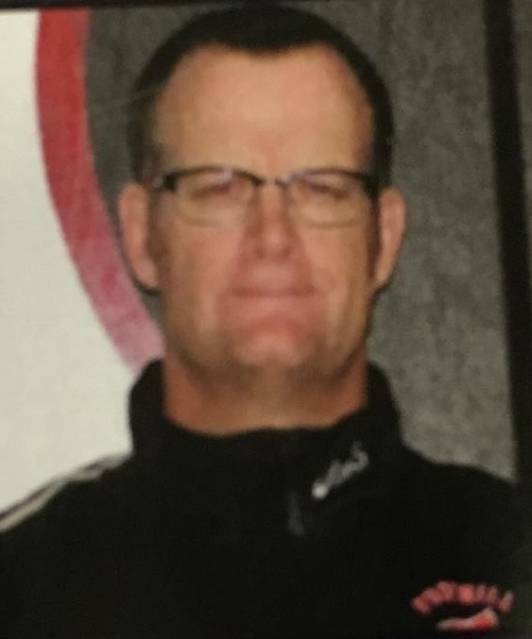 Coach Stone’s guest for his show debut, Friday, January 12, 2018 8:00 p.m.-CST, will be Coach Ricky Upton, Assistant Coach at Maryville High School in Maryville, TN. Coach Upton has coached in nine State Championship Games and has won five of those nine. Coach Upton stated in a recent interview that he believes that "his players can accomplish anything on the field with the proper technique and training." Coach Stone’s podcasts can be heard twice a month on the JC Hawks Sports Network (jchawks.com). 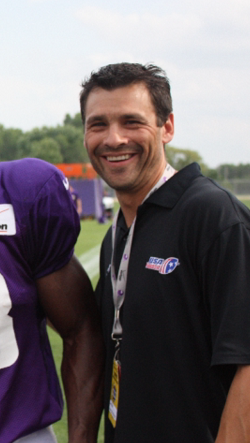 Coach Stone can be followed through Twitter @Coach_Stone_MT or he can be found at CoachStoneFootball.com. Coach Anthony Stone will debut his internet radio show, Coach Stone Podcast this January, 2018. 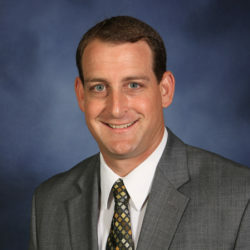 Coach Stone is a Physical Education teacher and Quarterbacks Coach. His coaching experience also extends to Linebackers, Special Teams Coordinator and Wide Receivers. 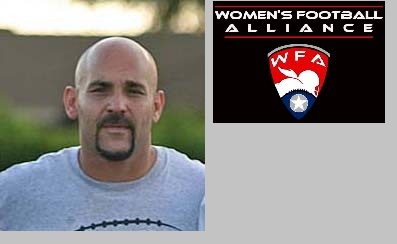 In 2010, Coach Stone was the Defensive Coordinator for the U.S. Women’s National Tackle Football Team, winners of the IFAF Women’s World Championship. He was also the Defensive Coordinator and Assistant Head Coach for the 2017 Women’s Australian National Outback Team. Coach Stone’s guest for his show debut will be Coach Ricky Upton, Assistant Coach at Maryville High School in Maryville, TN. Coach Upton has coached in nine State Championship Games and has won five of those nine. Coach Upton stated in a recent interview that he believes that "his players can accomplish anything on the field with the proper technique and training." Tuesday, January 2, 2018 9 p.m.- EST on the 5th Quarter with Coach Johnson will discuss Football 101: Offensive and Defensive Formations. Call-ins are welcome 657-383-1020 or use the chat room at radio.jchawks.com. Tuesday, December 26, 2017 9 p.m.- EST on the 5th Quarter with Coach Johnson will discuss what makes a good offense and defense? Call-ins are welcome 657-383-1020 or use the chat room at radio.jchawks.com. Tuesday, December 19, 2017 9 p.m.- EST on the 5th Quarter with Coach Johnson will discuss what holds players back from playing their best & how do you break players of bad habits? Call-ins are welcome 657-383-1020 or use the chat room at radio.jchawks.com. Tuesday, December 5, 2017 9 p.m.- EST on the 5th Quarter with Coach Johnson will discuss finding the right Coach & Coaches finding the right team as well as some college football talk. Call-ins are welcome 657-383-1020 or use the chat room. 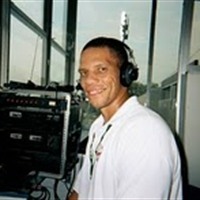 Currently we have the 5th Quarter with Coach Johnson every Tuesday night at 9pm-EST on jchawks.com. We are looking for one more coaches show for Monday nights. This would be a general topic show as well as covering women's tackle football. If you are interested, please email me at jc@jchawks.com and in the subject line write Coaches Show. Tuesday, November 28, 2017 9 p.m.- EST on the 5th Quarter with Coach Johnson will discuss how sports can prepare you for real life situations. Call-ins are welcome 657-383-1020 or use the chat room at radio.jchawks.com. Tuesday, November 21, 2017 10 p.m.- EST on the 5th Quarter with Coach Johnson will discuss when your an athlete you are held to higher standards. Call-ins are welcome 657-383-1020 or use the chat room at radio.jchawks.com. Tuesday, November 14, 2017 10 p.m.- EST on the 5th Quarter with Coach Johnson will discuss practice and preparation. Call-ins are welcome 657-383-1020 or use the chat room at radio.jchawks.com. Tuesday, November 7, 2017 10 p.m.- EST on the 5th Quarter with Coach Johnson hosted tonight by Coach Mike Wallace will discuss bridging the gap between women's football and those not taking it serious. Call-ins are welcome 657-383-1020 or use the chat room at radio.jchawks.com. Tuesday, October 17, 2017 10 p.m.- EST on the 5th Quarter with Coach Johnson will be discussing Leagues & Try-outs. Call-ins are welcome 657-383-1020 or use the chat room. Monday, October 23, 2017 members of the Tennessee Legacy will be joining me to discuss past seasons and the upcoming 2018 season. Follow them on Facebook. Tuesday, October 10, 2017 10 p.m.- EST on the 5th Quarter with Coach Johnson will be discussing Coaches and Captains Being Real Leaders. Call-ins are welcome 657-383-1020 or use the chat room at radio.jchawks.com. Tuesday, October 3, 2017 10 p.m.- EST on the 5th Quarter with Coach Johnson will be discussing what's it like being a team player? Call-ins are welcome 657-383-1020 or use the chat room at radio.jchawks.com. 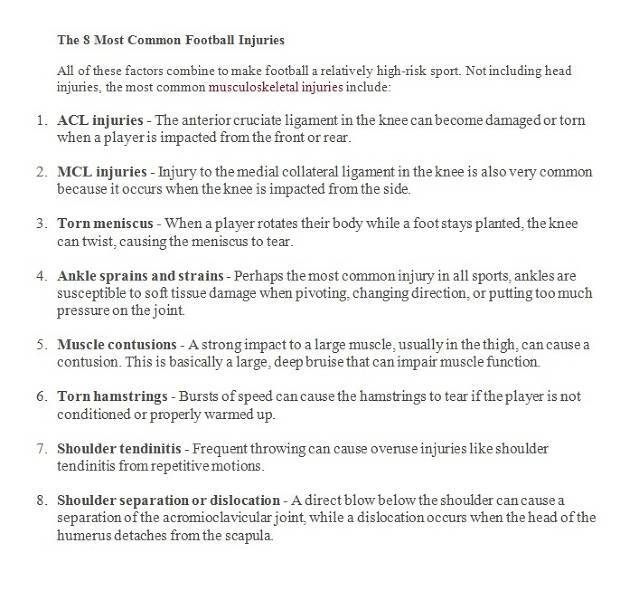 Tuesday, September 26, 2017 10 p.m.-EST on the 5th Quarter with Coach Johnson will be discussing what it means to these women who play tackle football when they've been told their whole life that they couldn't play football. Call-ins are welcome 657-383-1020 or use the chat room at radio.jchawks.com. Tuesday, September 19, 2017 10 p.m.-EST on the 5th Quarter with Coach Johnson will be discussing what it means being a Great Role Model. Call-ins are welcome 657-383-1020 or use the chat room at radio.jchawks.com. Tuesday, September 12, 2017 10 p.m.-EST on the 5th Quarter with Coach Johnson will be discussing what it means to have dedication to your sport. Call-ins are welcome 657-383-1020 or use the chat room at radio.jchawks.com. 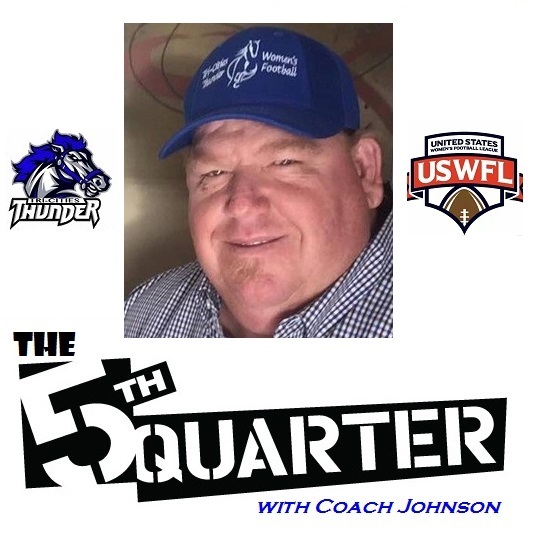 Tuesday, September 5, 2017 join Coach Johnson on the 5th Quarter talking news and information of the USWFL. Coach Johnson will have phone lines open for questions. Questions? Call 657-383-1020 or visit radio.jchawks.com and click on the Chat Room. Tuesday, August 29, 2017 at 10 pm-EST Coach David Johnson will host The 5th Quarter. Coach Johnson will discuss recruiting players and teams as well as off season workouts. Tuesday, August 15, 2017 at 10 pm-EST Coach David Johnson will host The 5th Quarter. 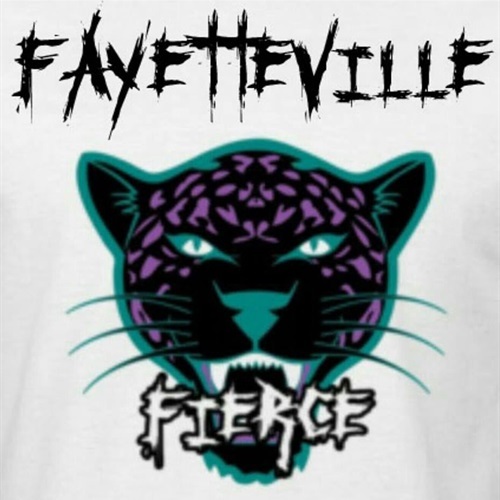 Joining Coach Johnson on the show will be guest Coach Will, Fayetteville Fierce, who will discuss his experience as a coach and how he got involved in women's football. Also, find out the changes for the USWFL 2018 season. Monday, August 14, 2017 10 p.m.-EST Nate Lewis, Personal Trainer for 35 years and Owner of US Sports Radio will discuss what players should be doing off season to prepare for next season. Also, listen to a segment on Team Ownership and what actually are the costs of owning a team? Tuesday, August 8, 2017 at 10 pm-EST Coach David Johnson will host The 5th Quarter. 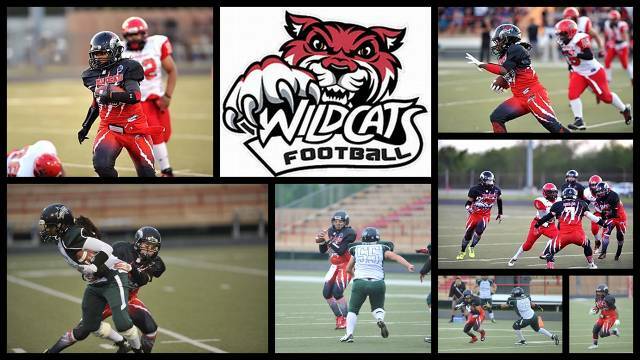 Joining Coach Johnson on the show will be guest Laura Cantu, Quarterback and Vice President of the Houston Wildcats. Tuesday, August 1, 2017 at 10 pm-EST Coach David Johnson will host The 5th Quarter and he will be discussing the USWFL Championship Weekend. Joining Coach Johnson on the show will be guests Coach Wallace and Coach Seymour from the Tri Cities Thunder. JC Hawks Radio, July 31, 2017 interview with Jeff King prior to the 2009 Inaugural season. Interview took place December 21, 2008. Coach David Johnson will host a new show on JC Hawks Sports Network called The 5th Quarter, which first airs Tuesday, July 25, 2017 at 10 p.m.- est. Join us tomorrow night as Coach Johnson will be discussing the upcoming USWFL Championship games being held July 29 & 30 as well as the IWFL and WFA championships that occurred last weekend. Join us Monday, July 17, 2017 with Merle Exit who will discuss Marketing. With the championship just around the corner, teams are already gearing for the 2018 season. What should teams be doing in addition to recruiting? Join us Monday, June 26, 2017, 7:00 p.m. (pst) at jchawks.com. 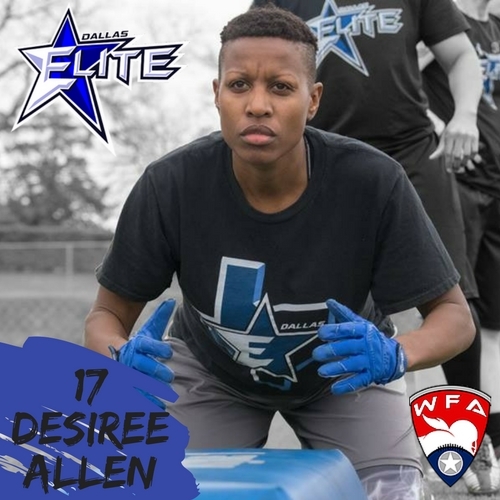 Devon Goldsmith, middle linebacker, aspiring coach and Dallas Elite of the Women's Football Alliance will be joining the show at 7:15 p.m. (pst). Follow Devon on Twitter @devongoldsmith. Be sure to join us in the chatroom. Listen to the blast from the past game that took place in July 2008 for the round 2 NWFA playoffs between the West Michigan Mayhem vs NY Nemesis that was originally broadcasted on WFB Talk. Calling on all womens's tackle football Coaches. You have something to teach? 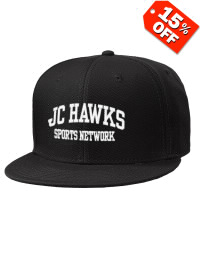 Be part of the JC Hawks Sports Network. Learn more on Monday, June 19, 2017 show. 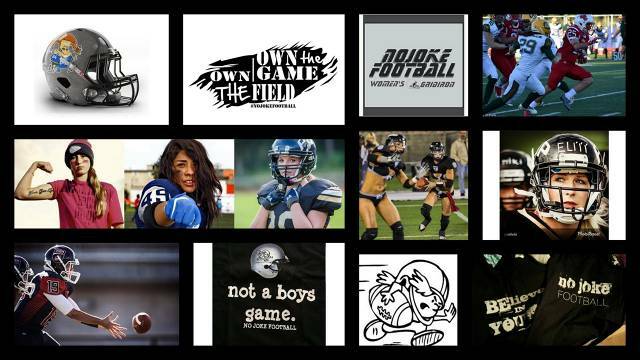 On the show, Rhonda Alford of the Detroit Pride and Jasper Horn & Tasha Alono of the Utah Falconz. Join us Monday, June 19, 2017 at 7:00 p.m. (pst). 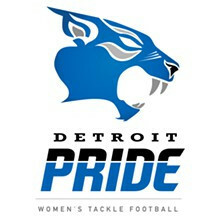 Teams joining us will be the Detroit Pride and the Utah Falconz. 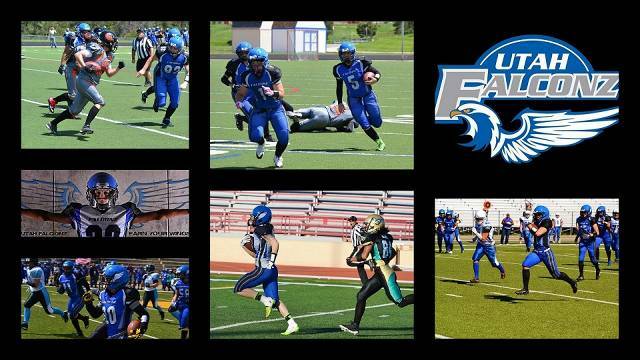 Follow both teams on Twitter @pride_football and @utahfalconz. JC Hawks Radio is finally in the new studio. We will return Monday, June 19, 2017 covering anything women's football related. Guests to be announced shortly. May 8, 2017 show is a pre-record on Sponsorship, Fundraising and Building awareness of your Football Team. Robin, Meg, Beebe and myself discussed what their own teams did for awareness and why keeping local community a focus. Join us on Monday, May 1st at 7:00 p.m. (PST) on JC Hawks Radio talking USWFL. Joining us tonight will be the Tennessee Diamondbacks as well as a special segment TBA. Missed Monday's show.....click HERE and forward ahead 15 minutes to hear how injuries can be prevented. 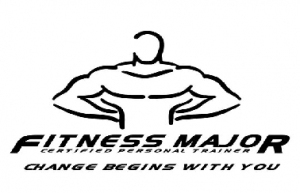 Want to train with the Fitness Major? Added Update 4/30/17: Click HERE to listen to the audio clip Sports Specific Training for Women for Football. Show Update: The Tennessee Diamondbacks interview was rescheduled for May 1st. Join us on Monday, April 24th at 7:00 p.m. (PST) on JC Hawks Radio talking USWFL. Joining us tonight will be the Tennessee Diamondbacks as well as a special segment on Injury Prevention. Join us on Monday, April 17th at 7:00 p.m. (PST) on JC Hawks Radio talking USWFL. 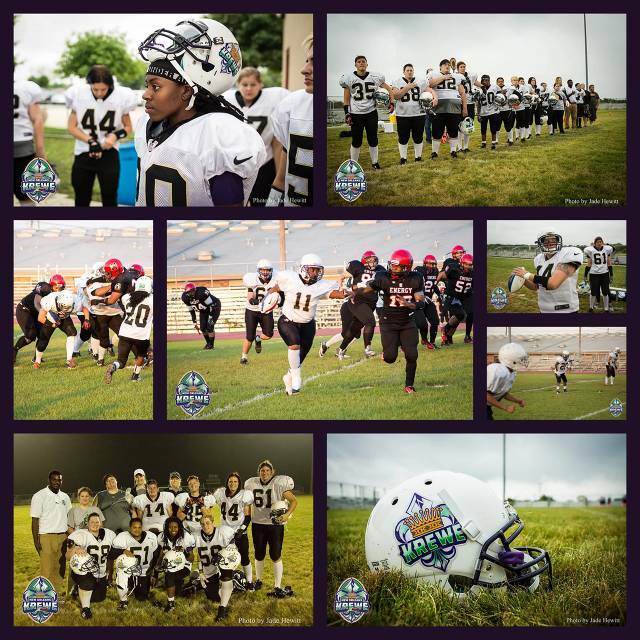 Teams joining us will be the Tri-Cities Thunder and the Fayetteville Fierce. Follow both teams on Twitter @footballthunder and @fayettevillefi1. Join us on Monday, April 10th at 7:00 p.m. (PST) on JC Hawks Radio talking USWFL. The Woodlands Wildcats, Washington Prodigy and the Fitness Major will be joining us. Follow on twitter @TW_Wildcats, @WashProdigy and @fitnessmajor. 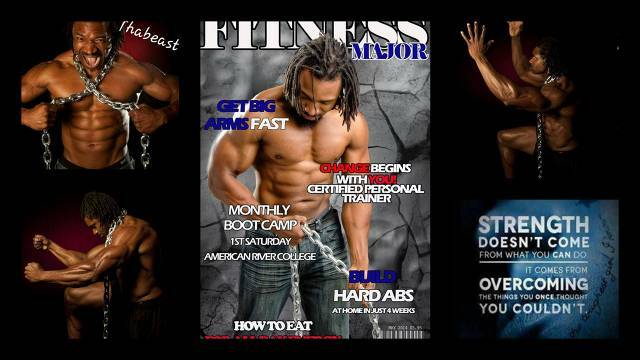 Check out the Fitness Major, Vince Singletary, Lift for Life page HERE. 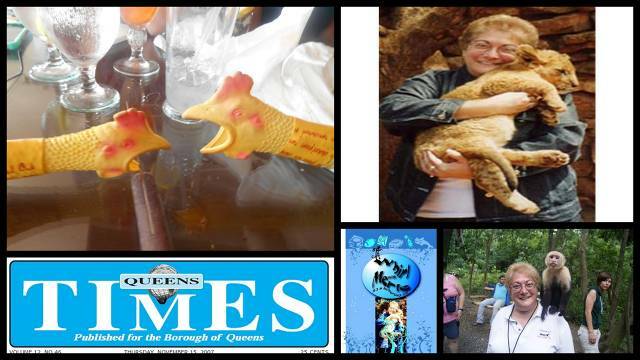 During the April 3rd Pilot show of JC Hawks Radio, I briefly mentioned that I once did a live show on a small island....... Here are the photos and the link to the full story HERE. Missed the Pilot click HERE. Join us on Monday, April 3rd at 7:00 p.m. (PST) on JC Hawks Radio talking USWFL. Teams joining us will be the New Orleans Krewe and the Detroit Pride. Follow both teams on Twitter @newkrewe and @pride_football. JC Hawks Sports Network will be covering the USWFL (United States Women's Football League) for the 2017 season. Please join us as we do interviews, special segments as well as game broadcasts. Season starts in less than 40 days...April 8, 2017.